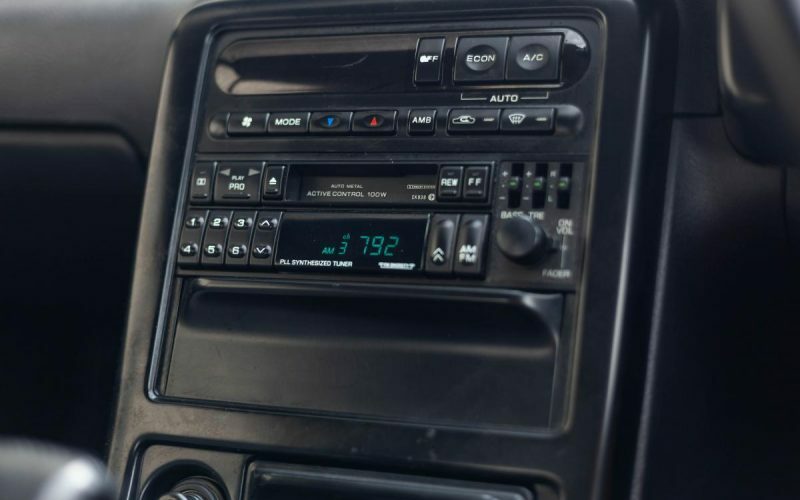 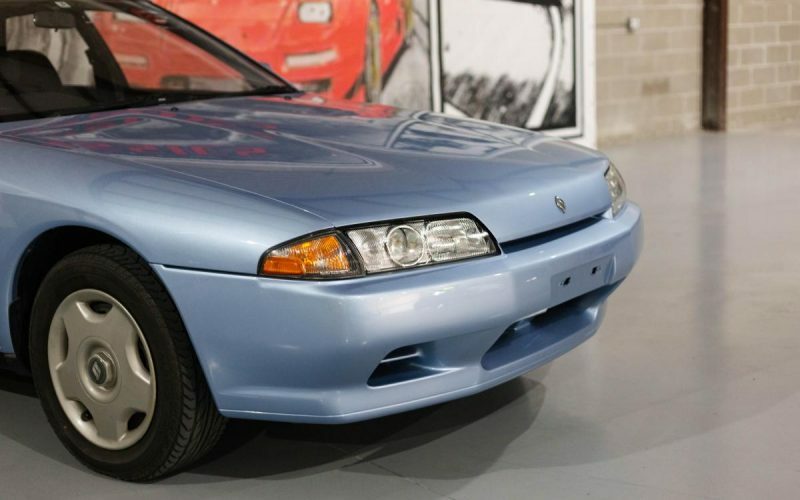 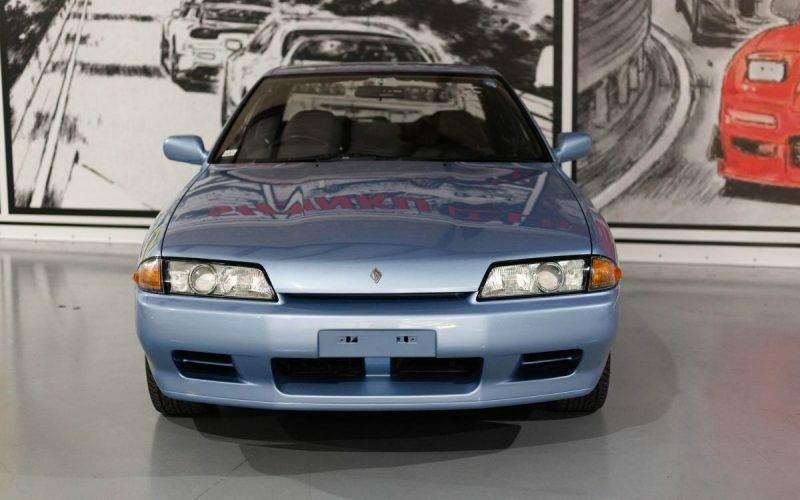 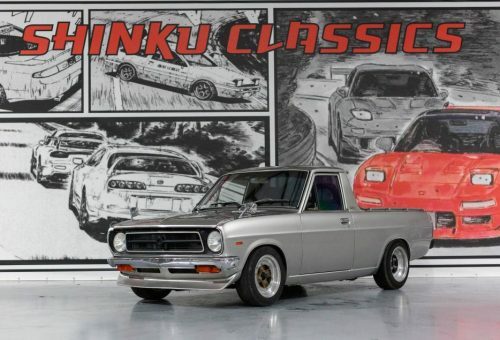 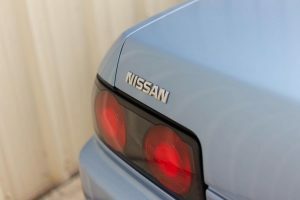 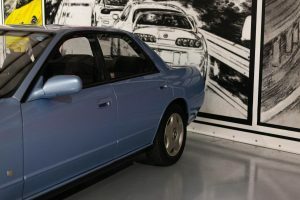 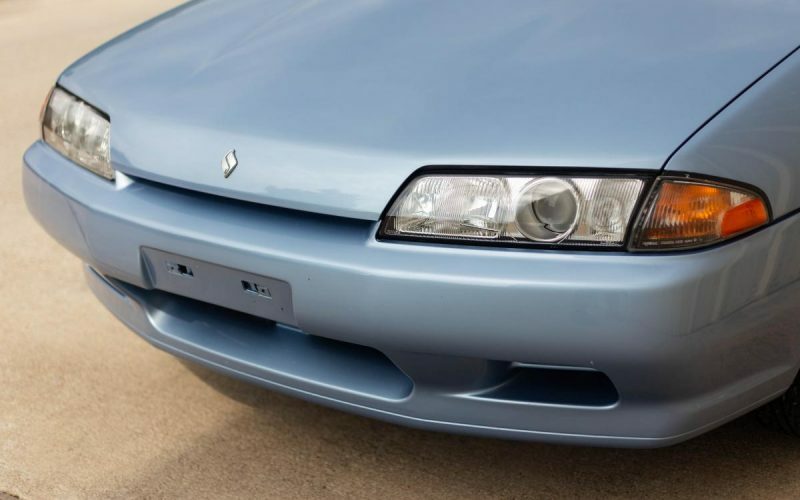 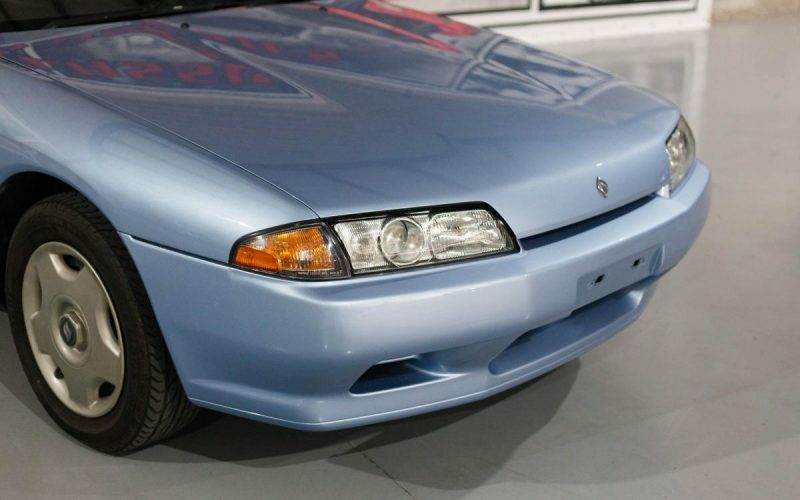 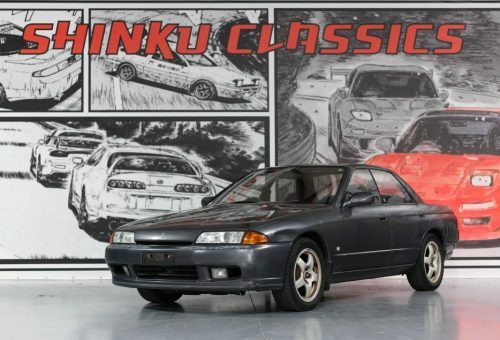 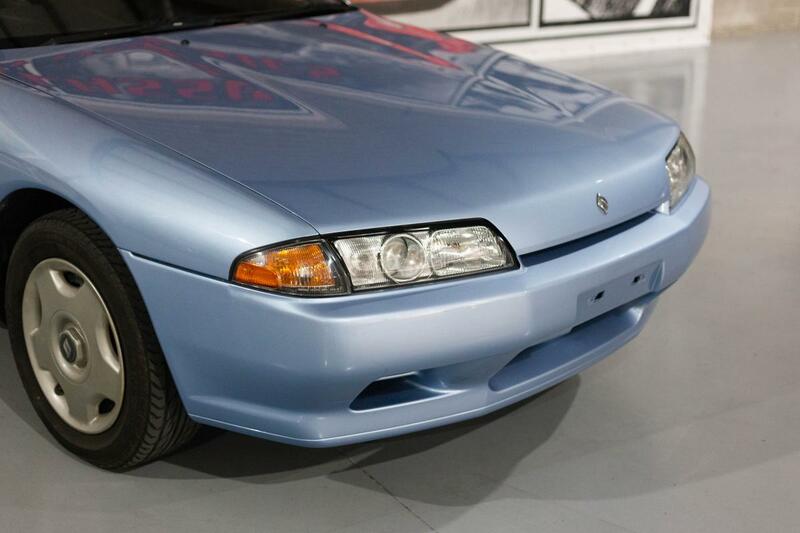 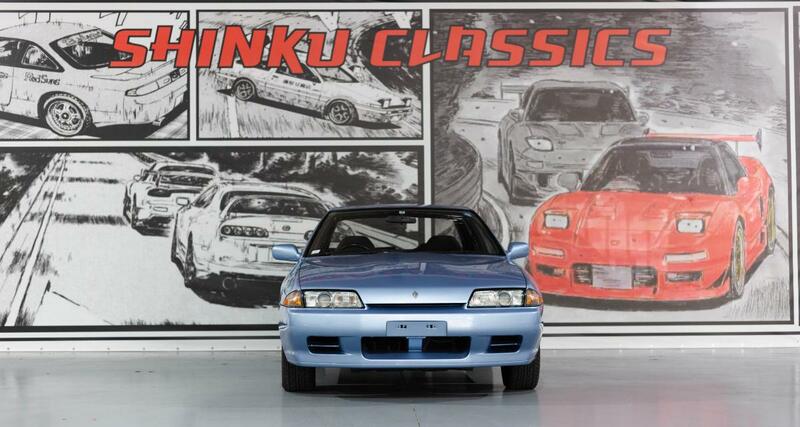 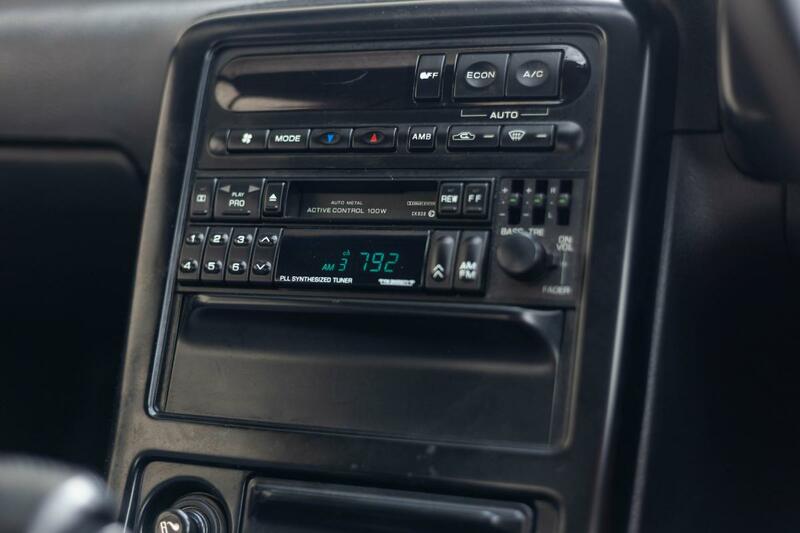 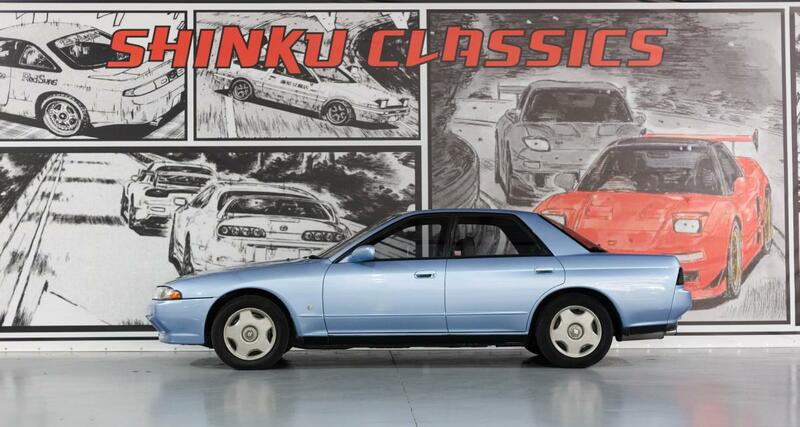 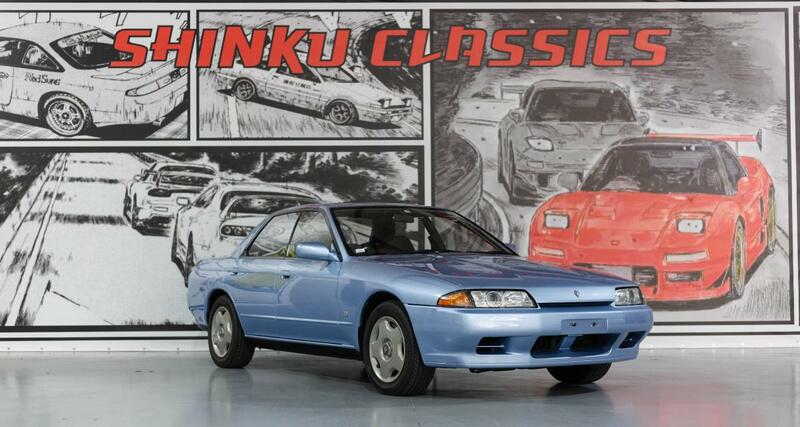 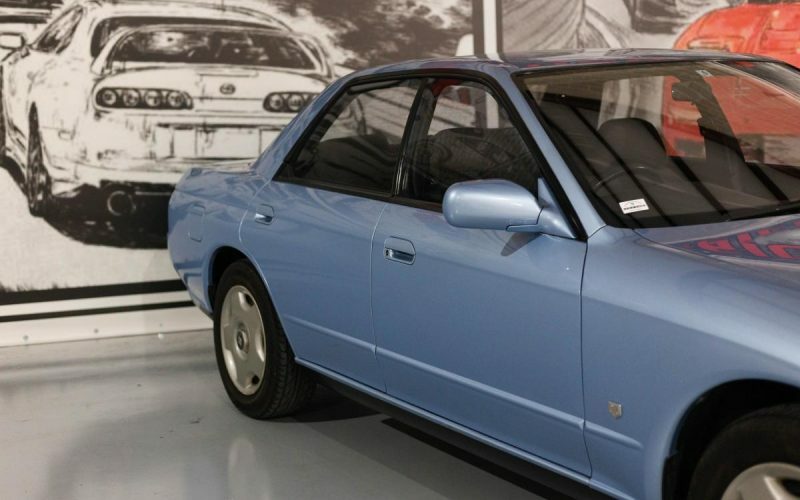 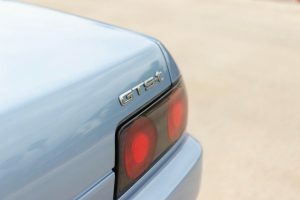 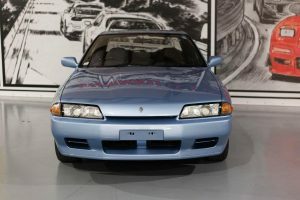 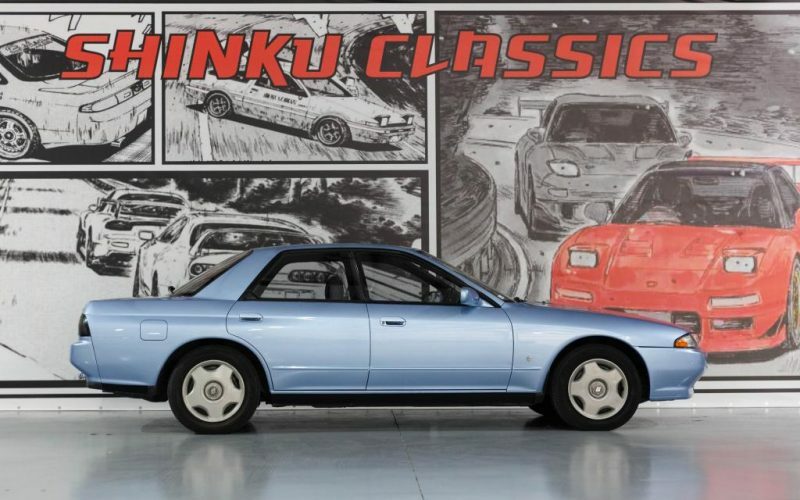 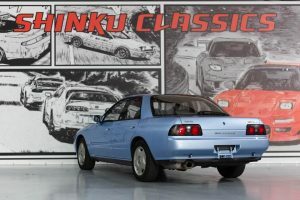 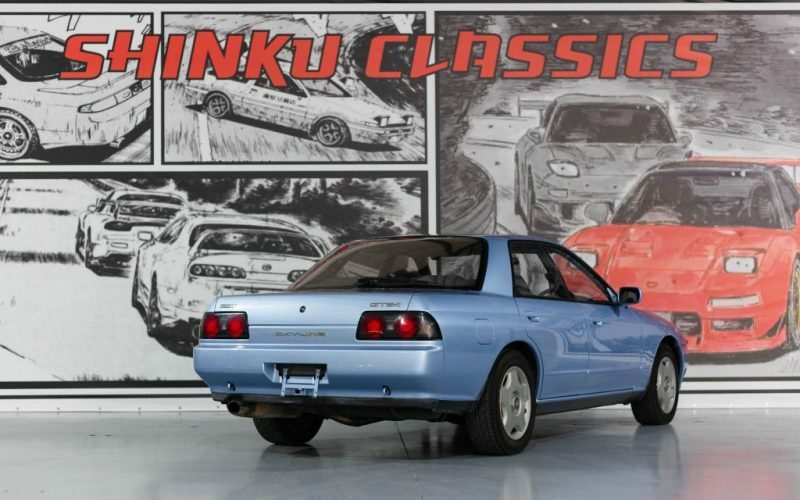 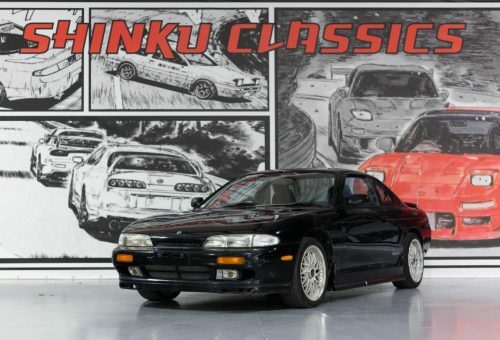 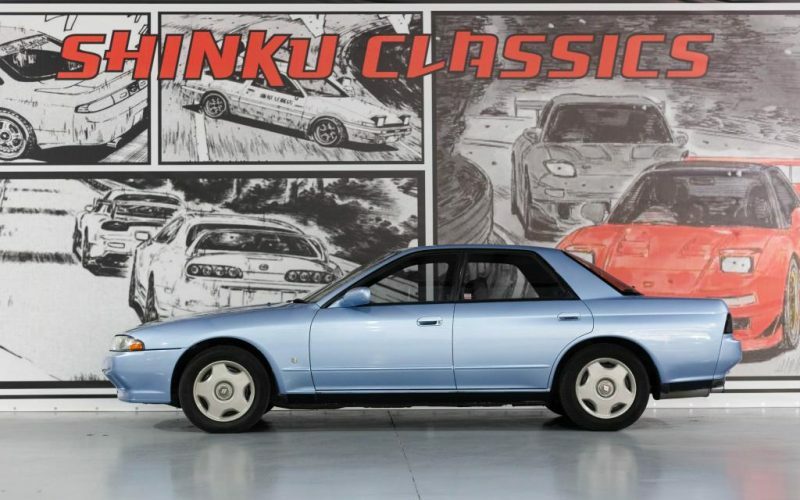 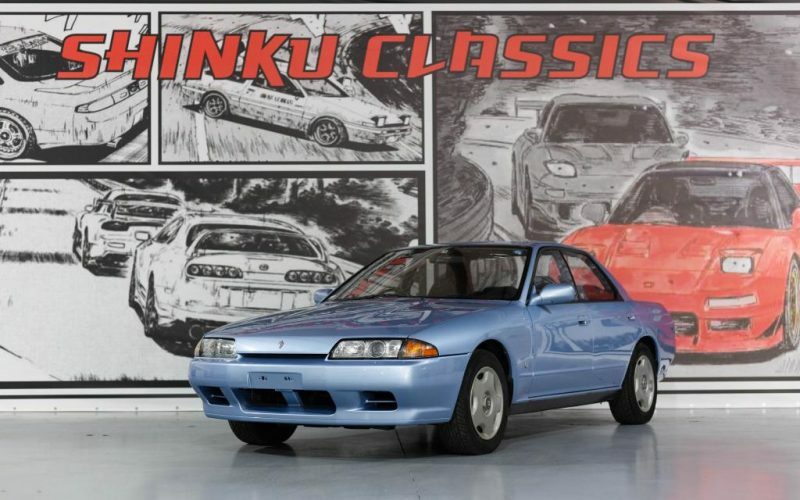 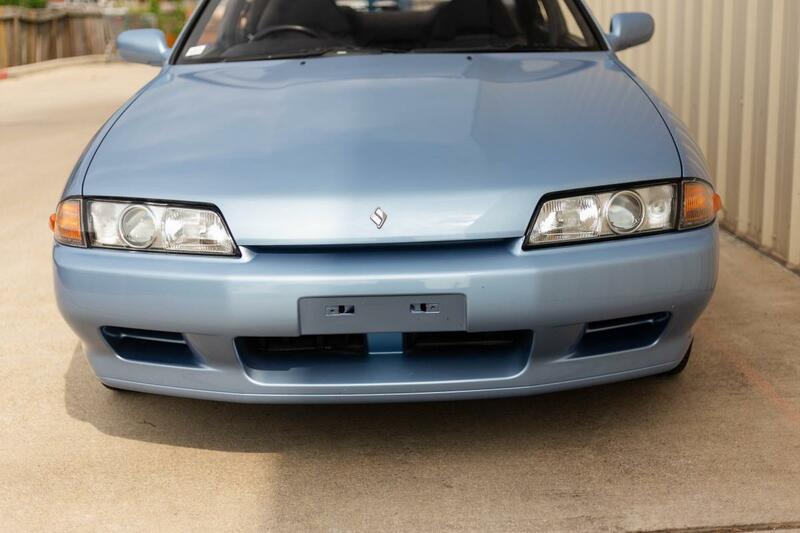 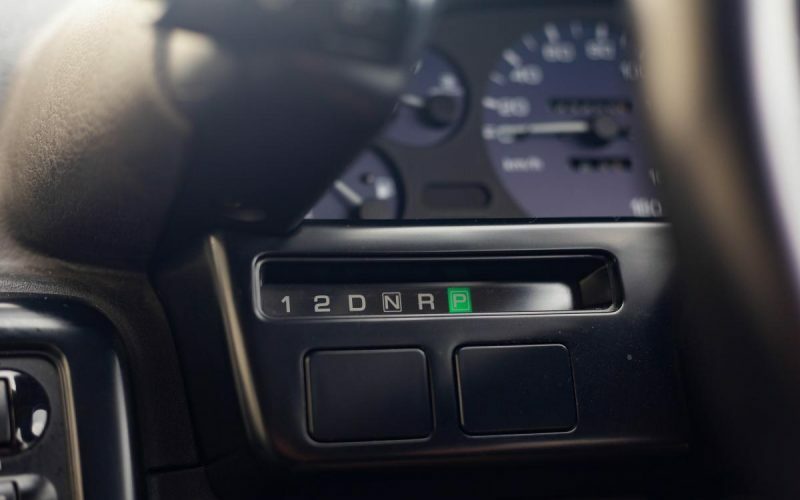 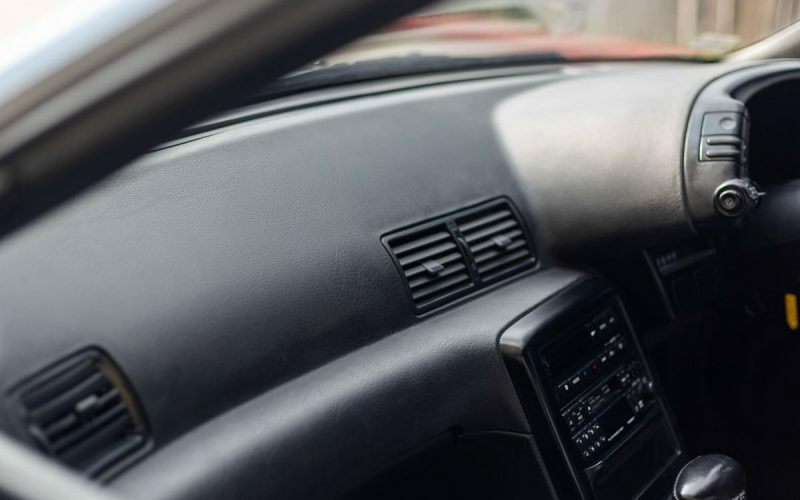 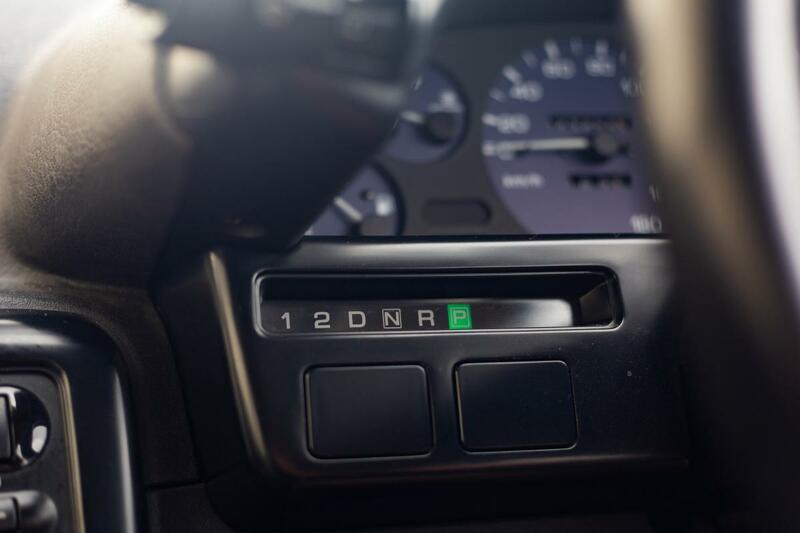 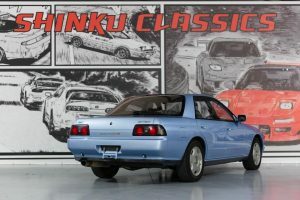 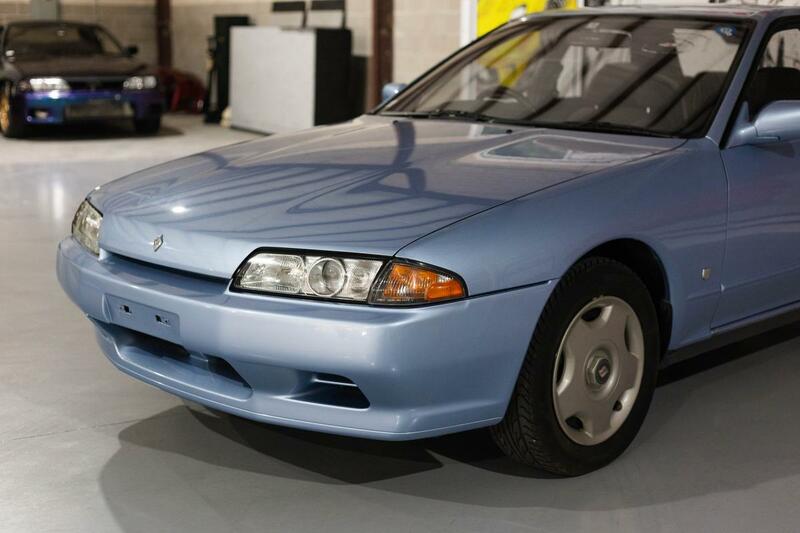 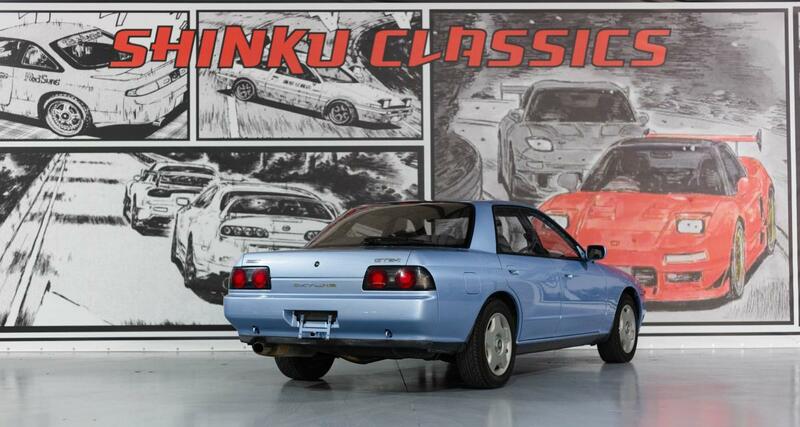 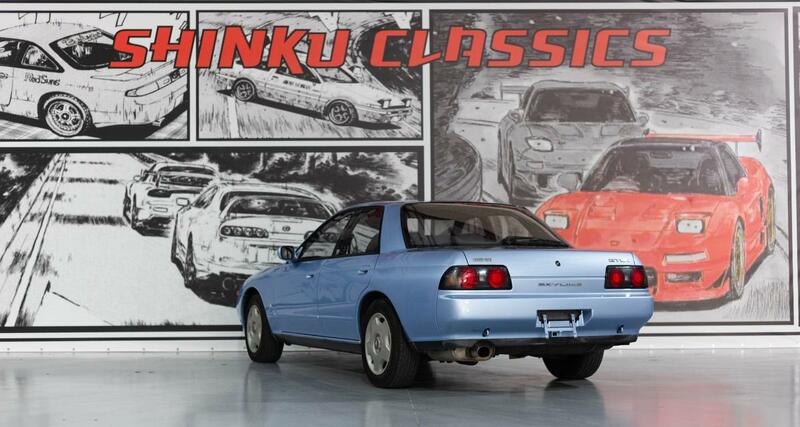 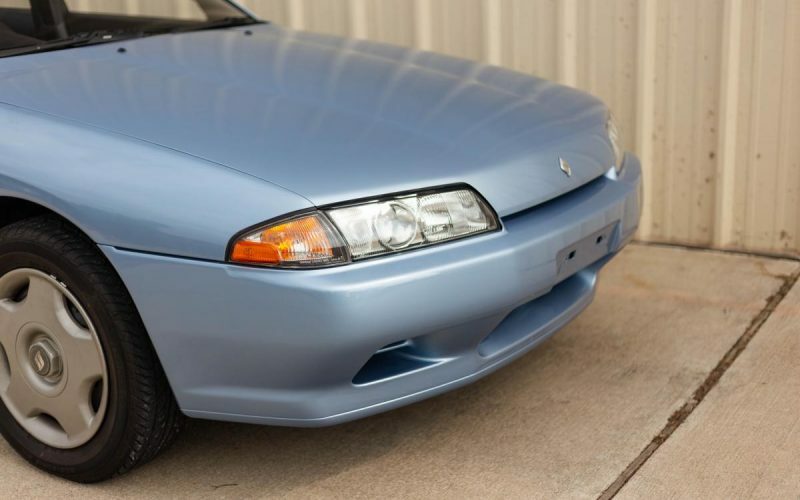 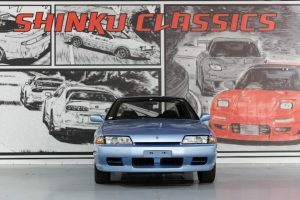 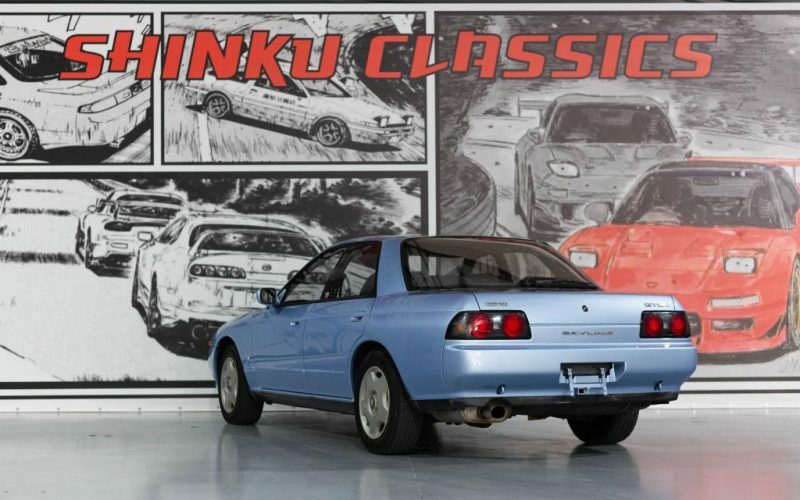 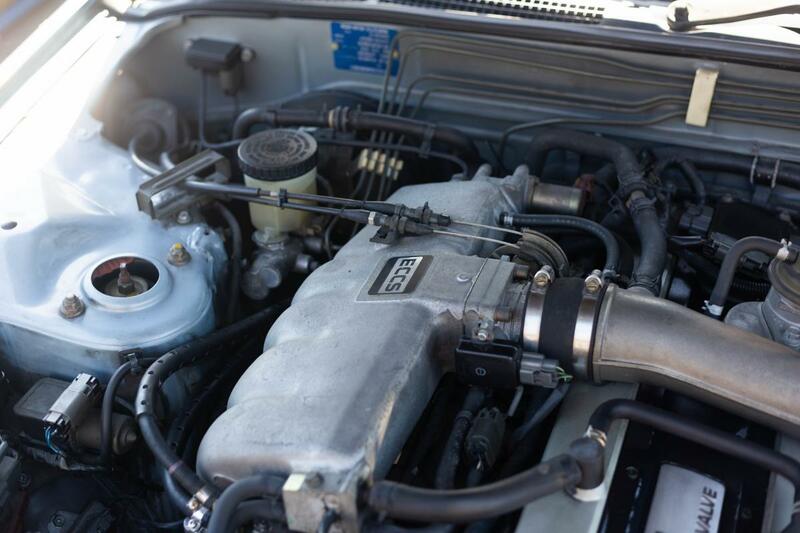 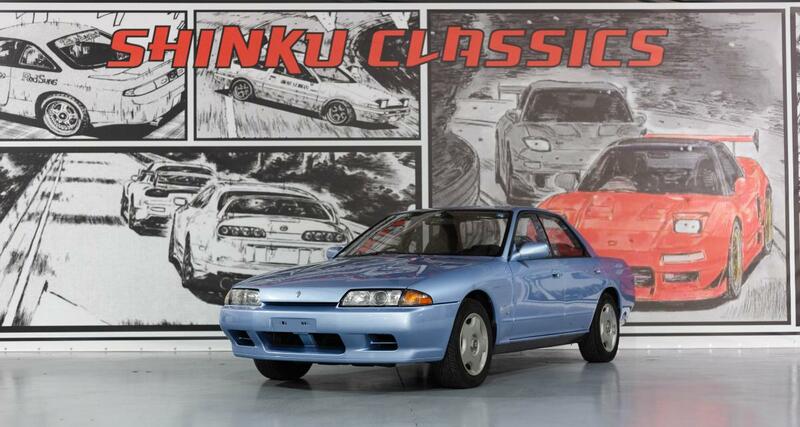 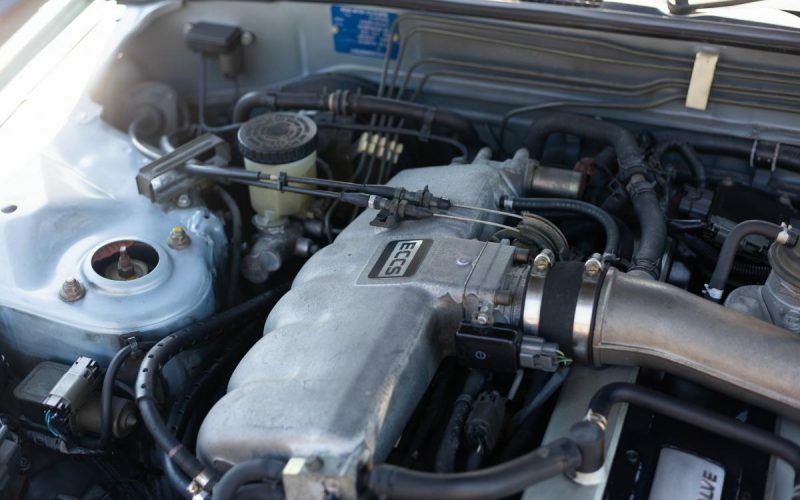 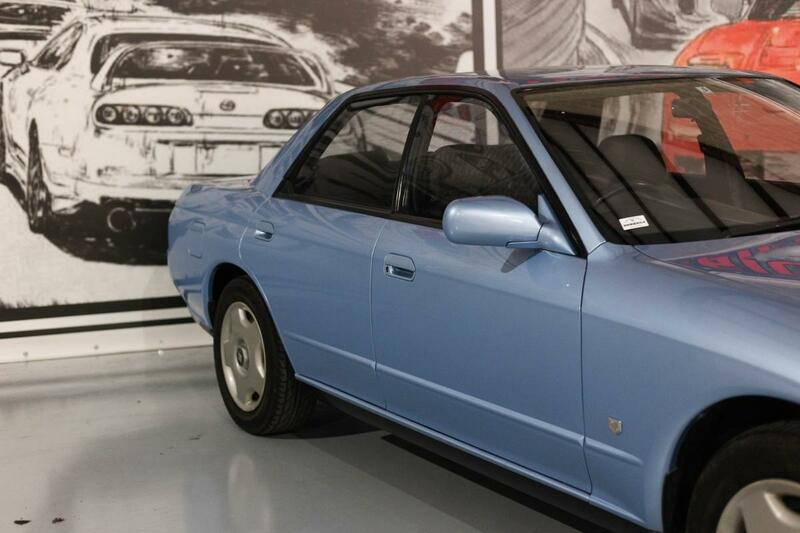 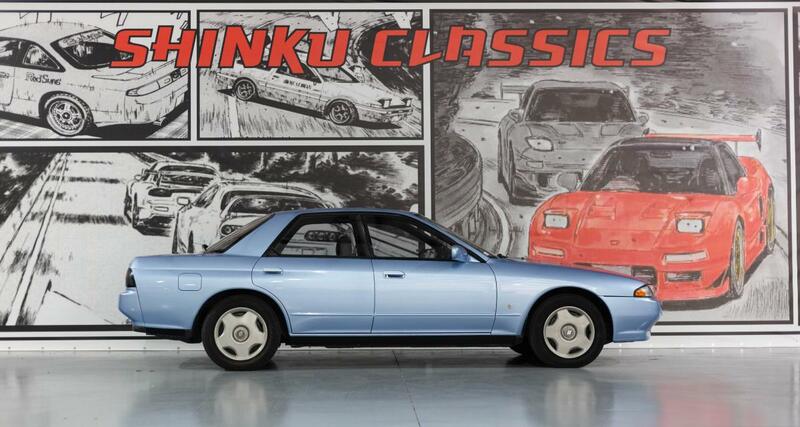 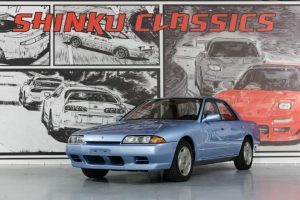 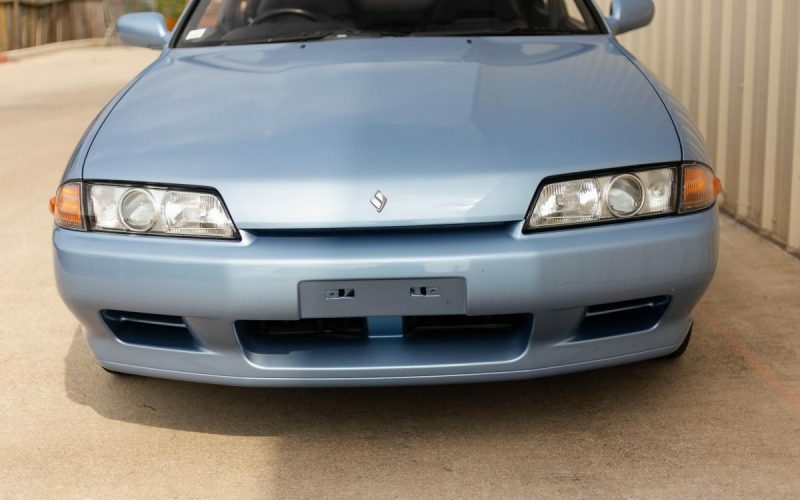 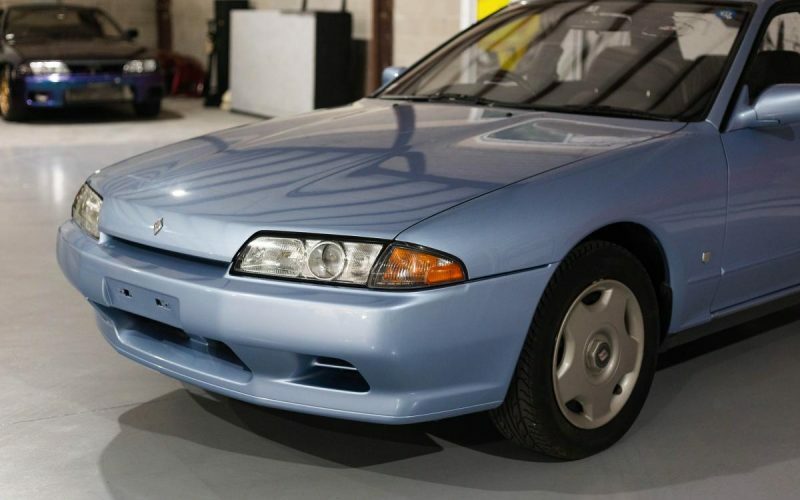 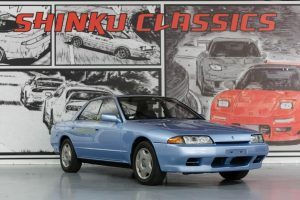 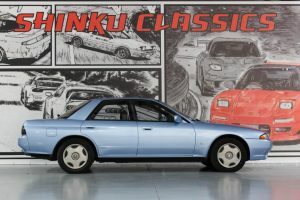 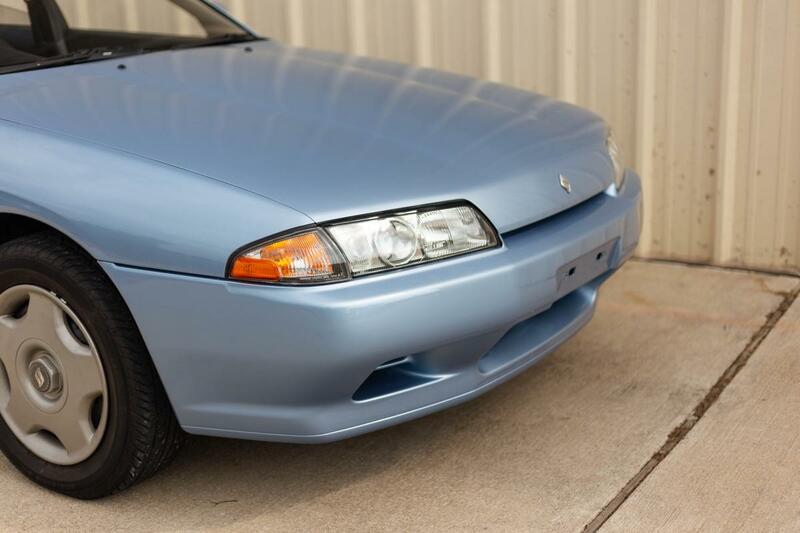 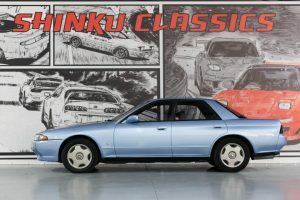 Check out this rare 1989 Nissan Skyline GTS-T! 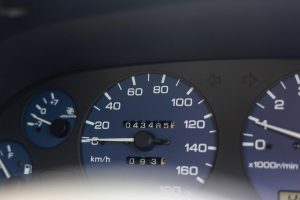 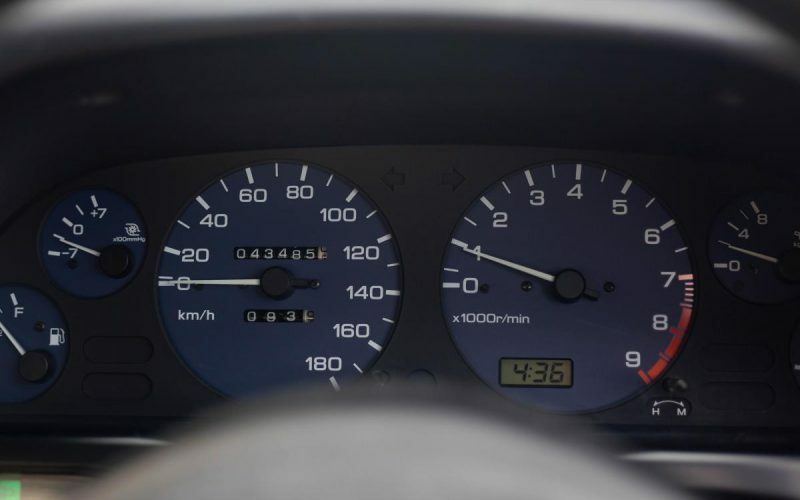 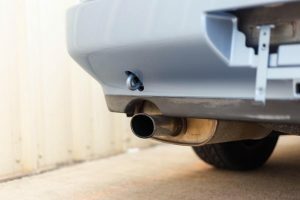 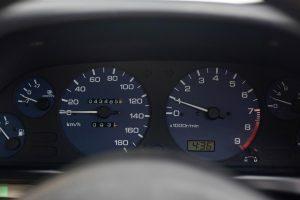 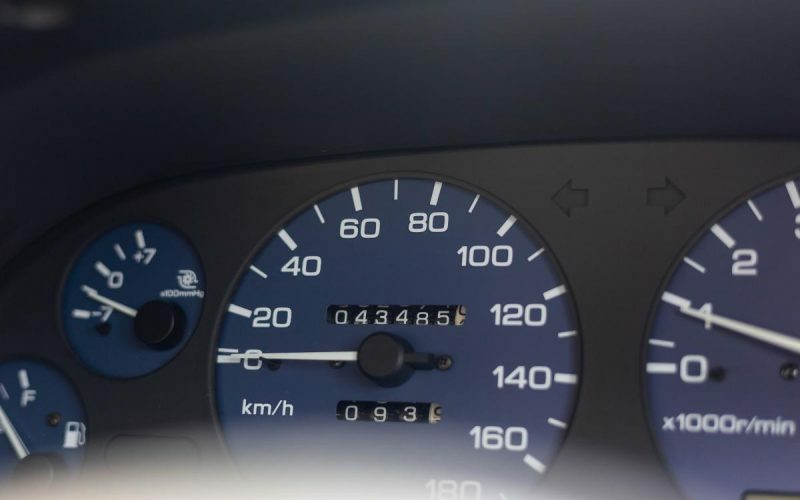 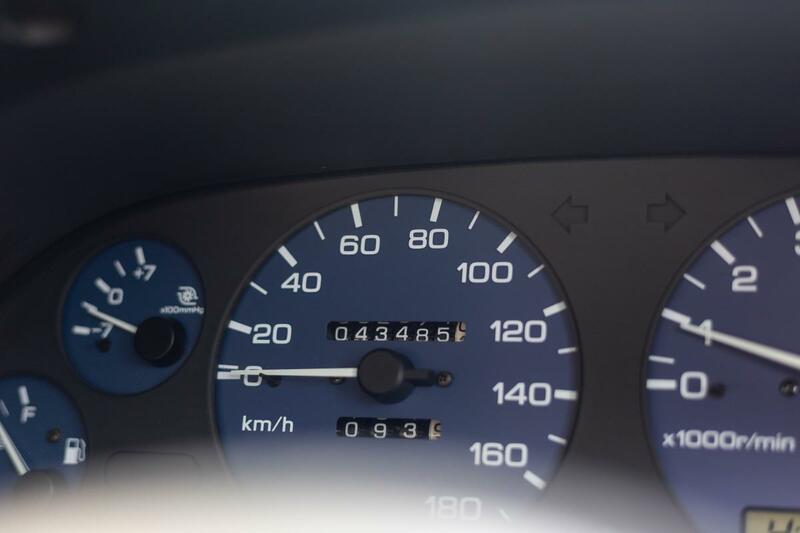 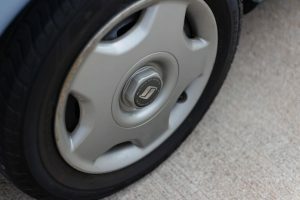 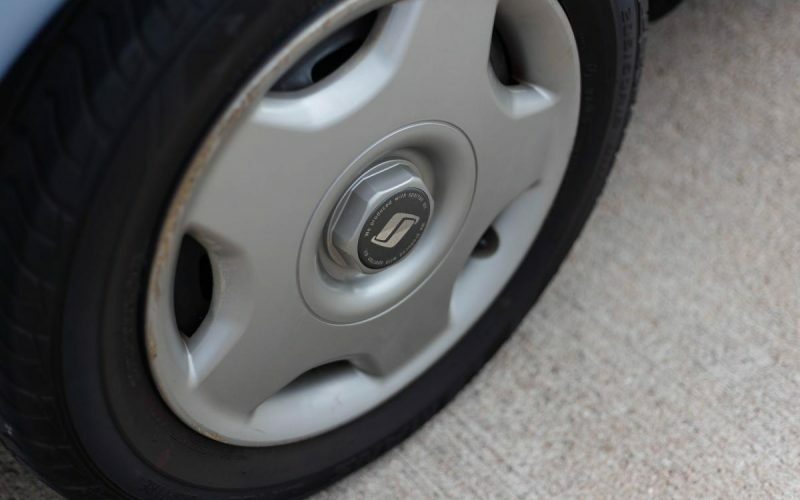 with only 44,000 original kilometers it is equivalent to about 27,340 miles. 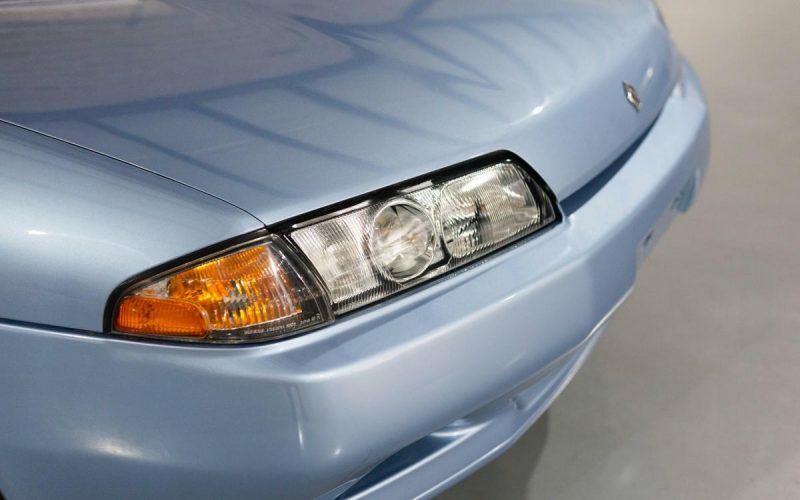 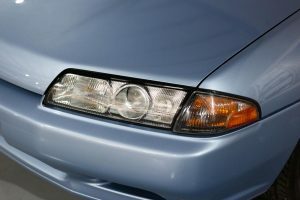 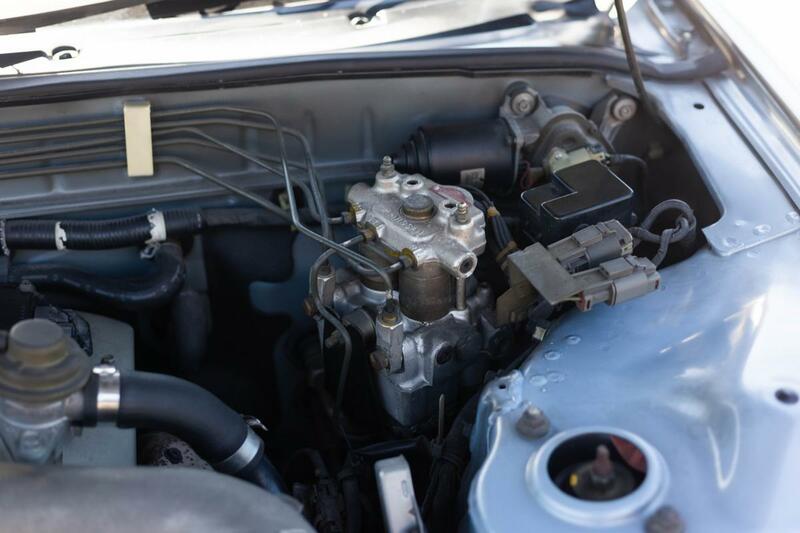 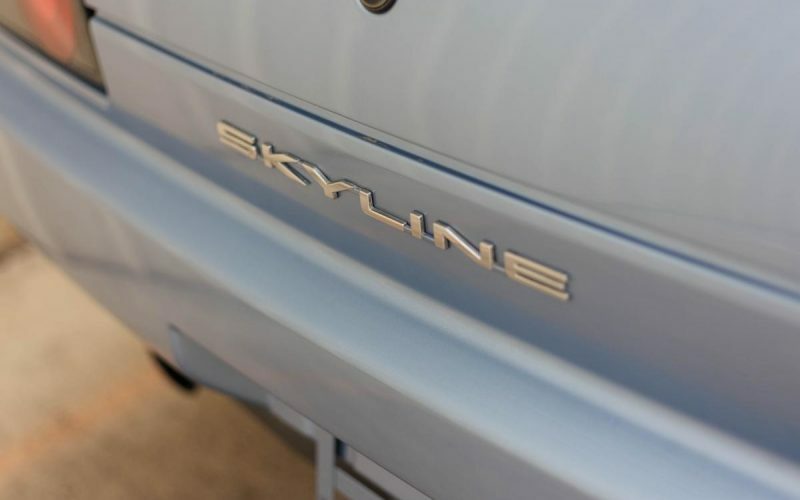 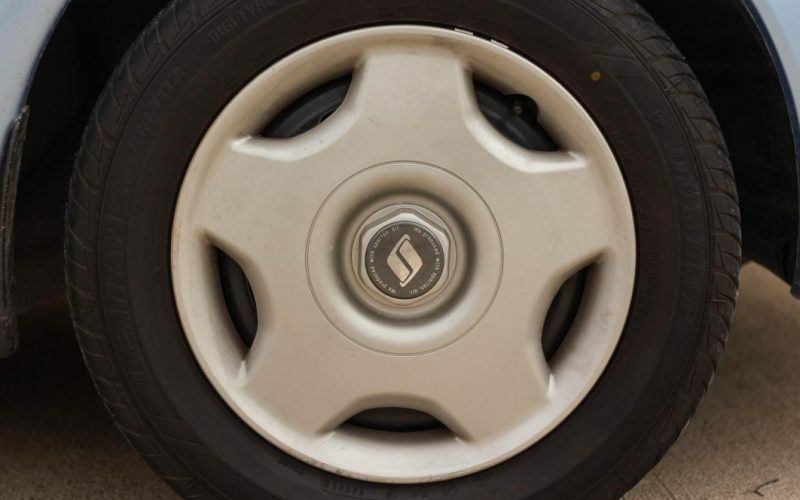 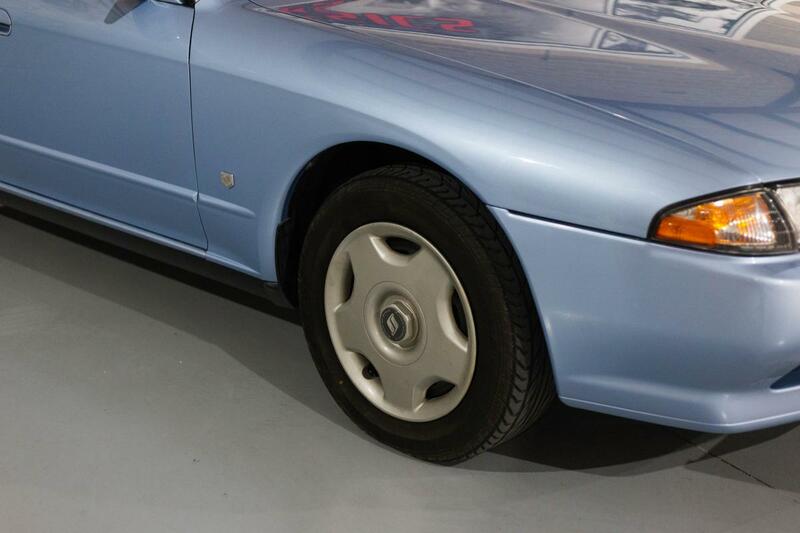 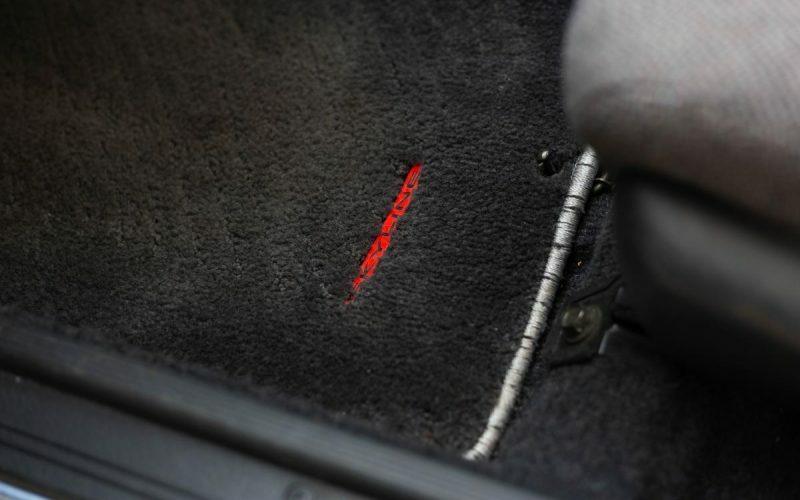 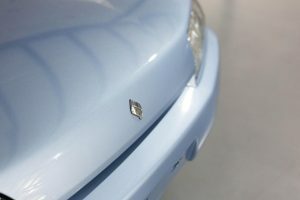 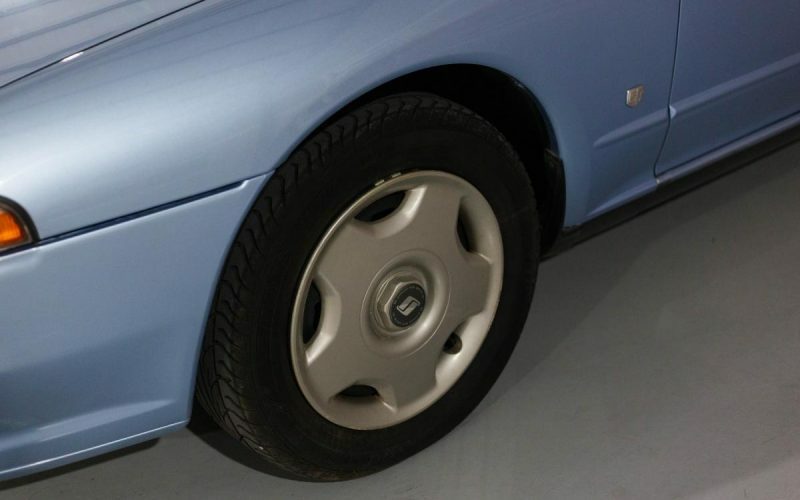 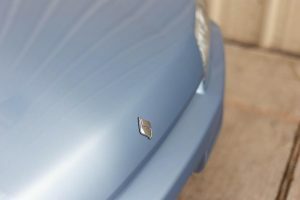 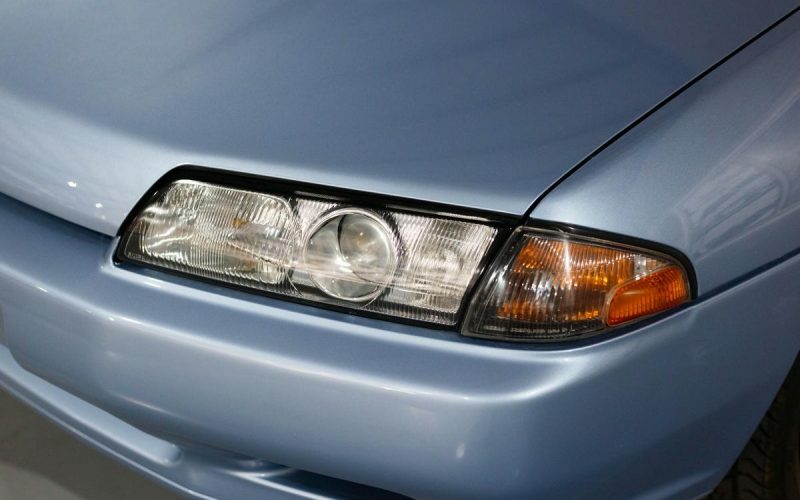 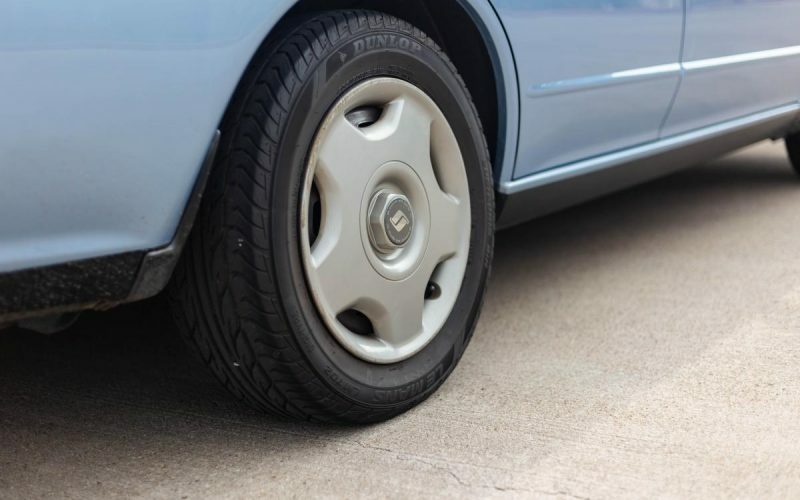 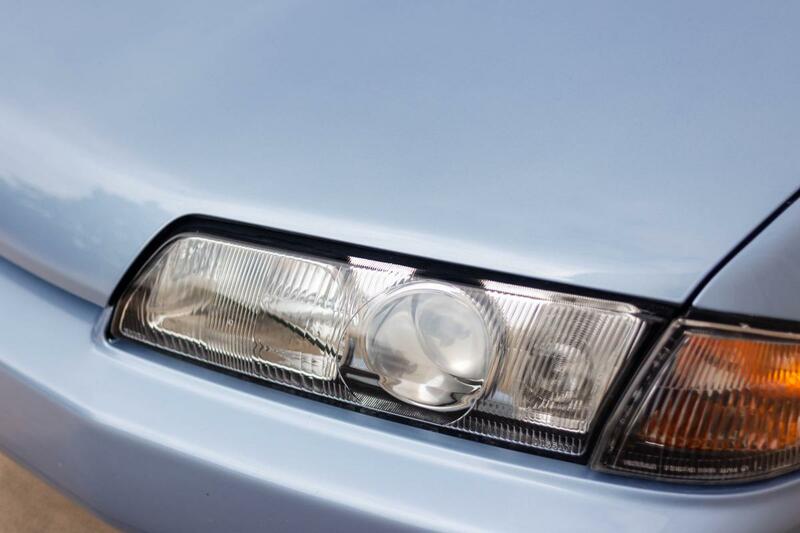 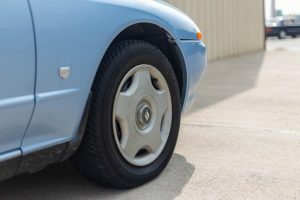 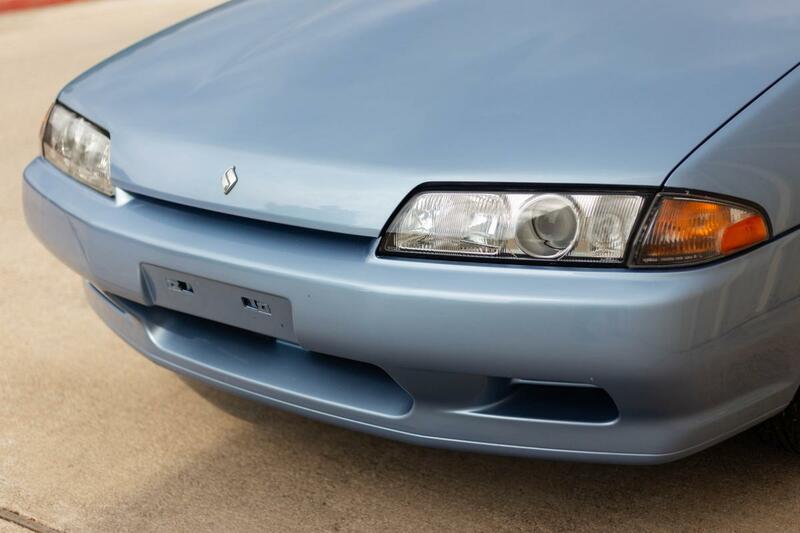 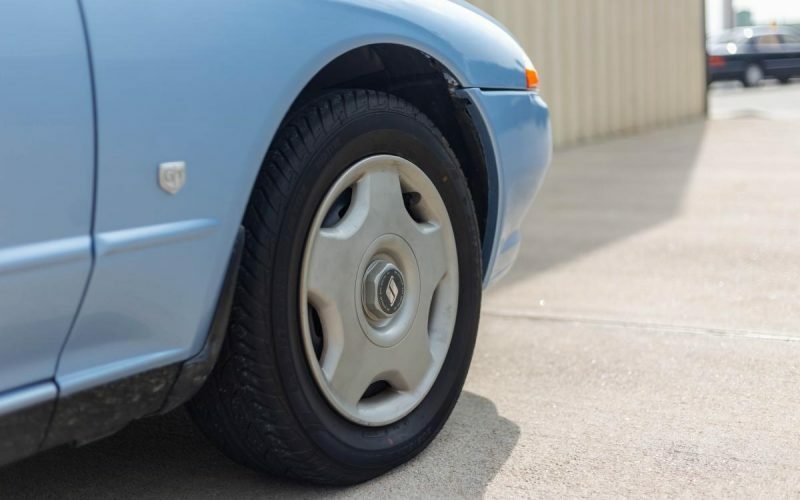 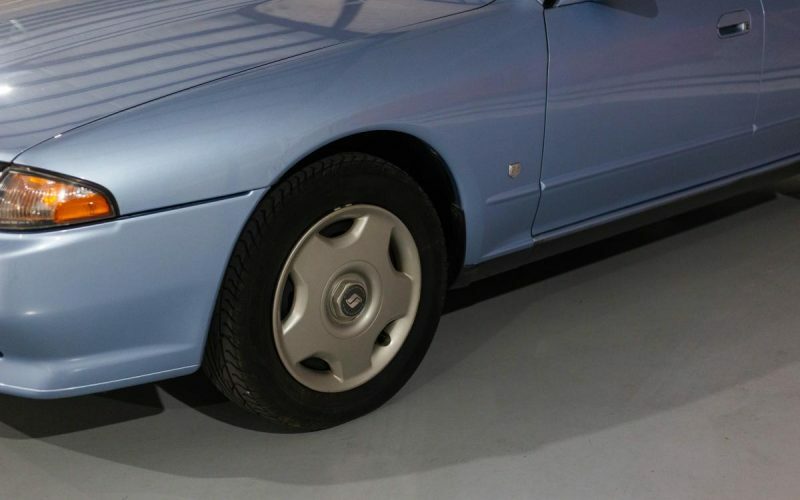 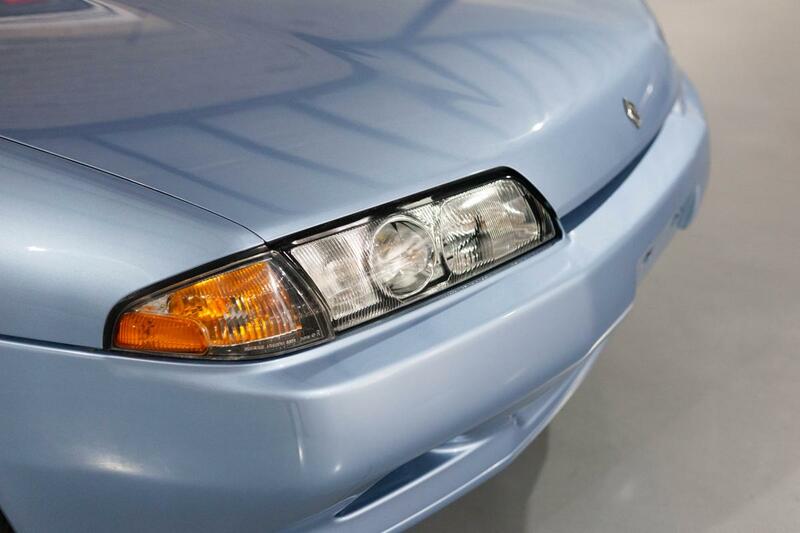 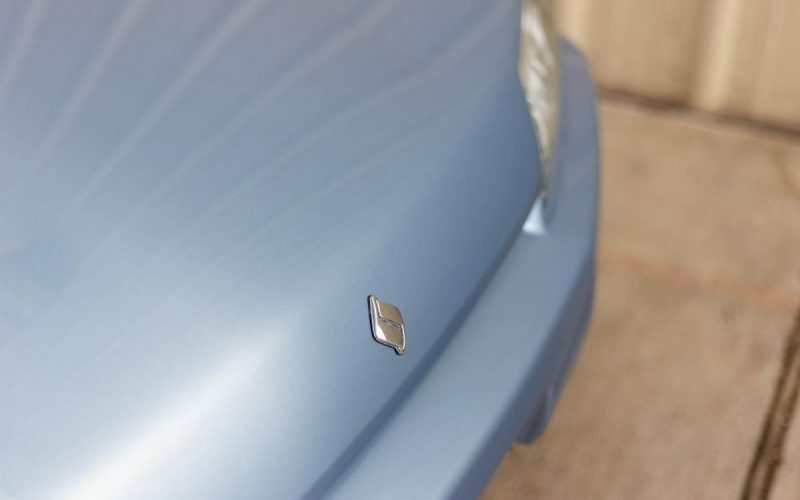 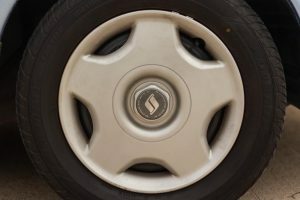 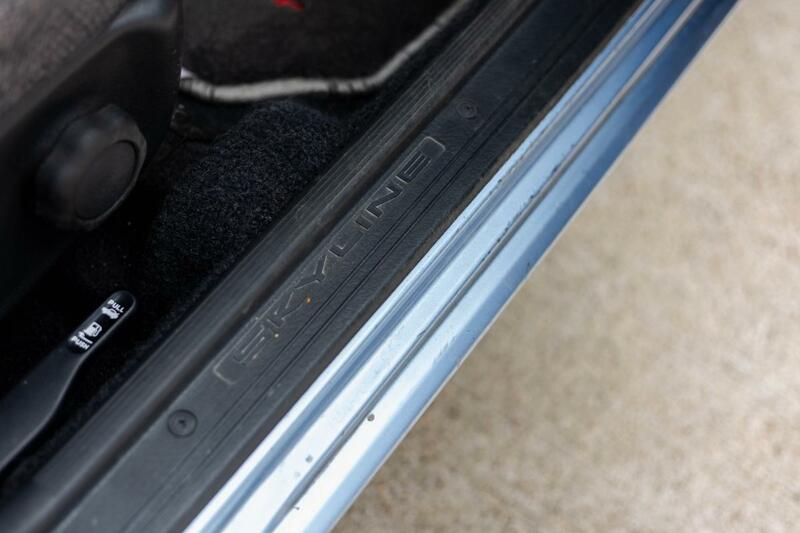 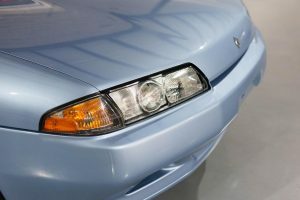 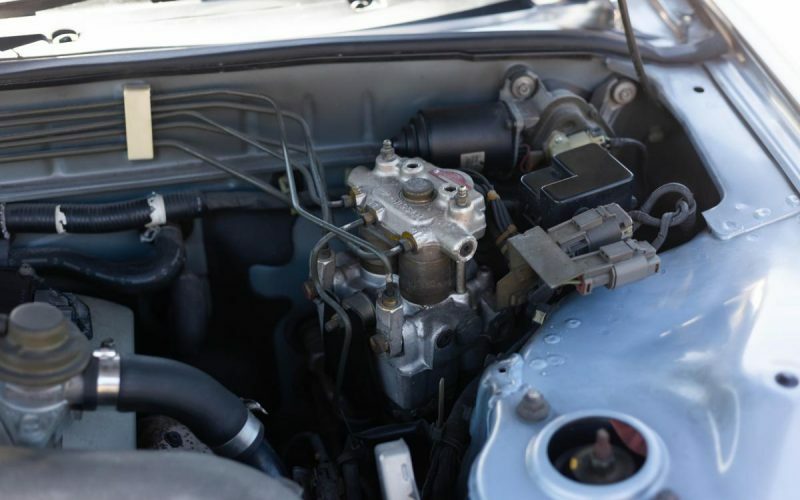 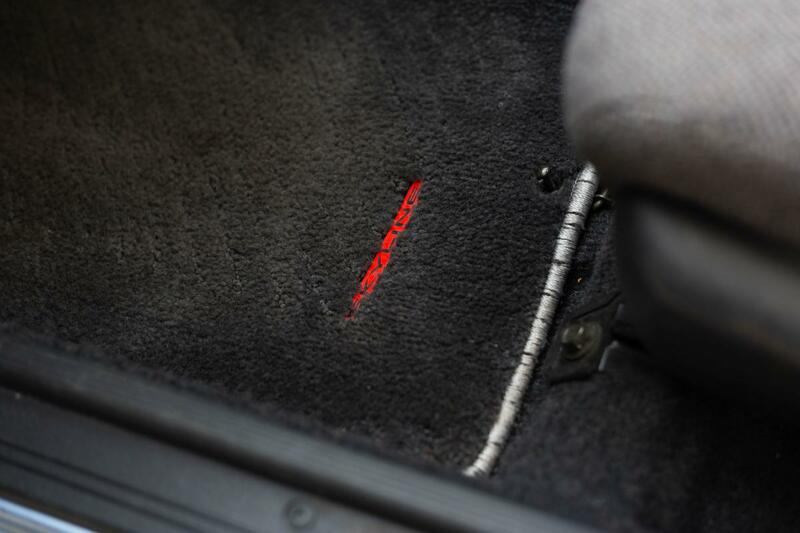 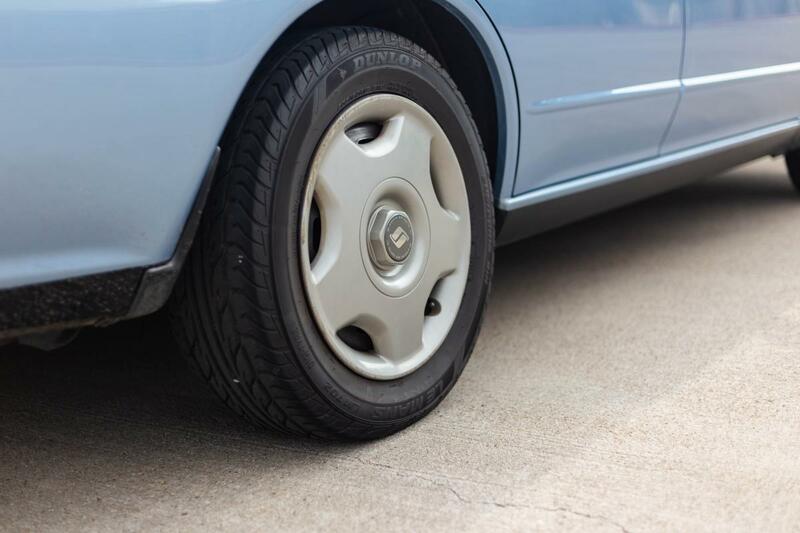 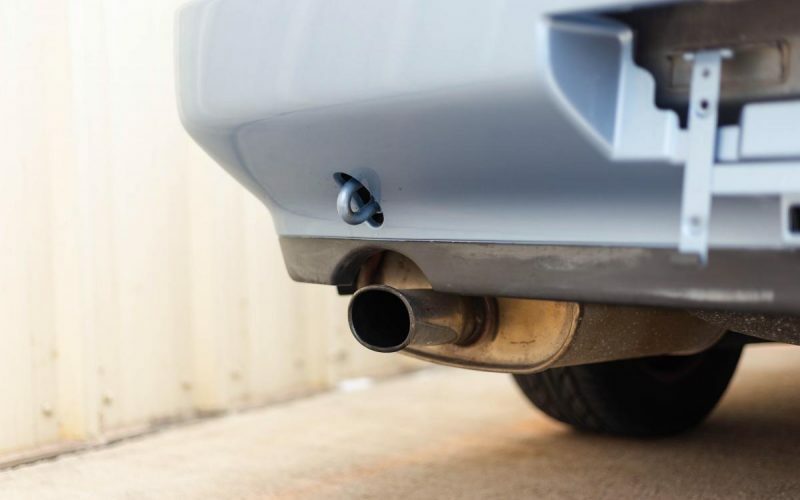 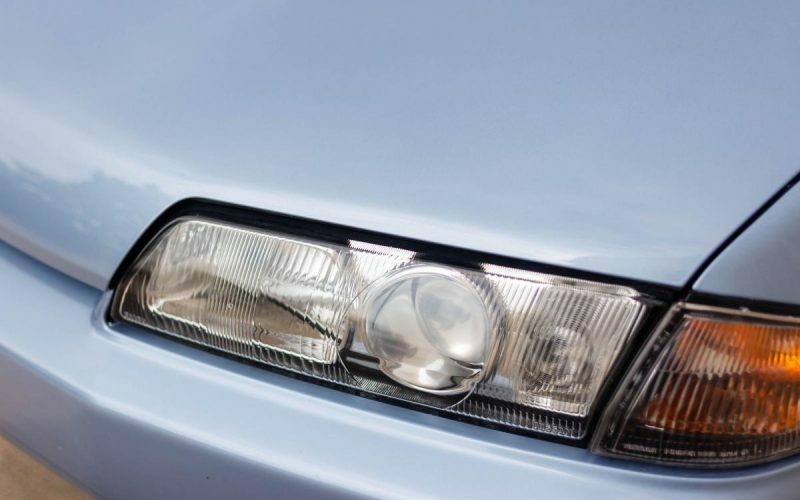 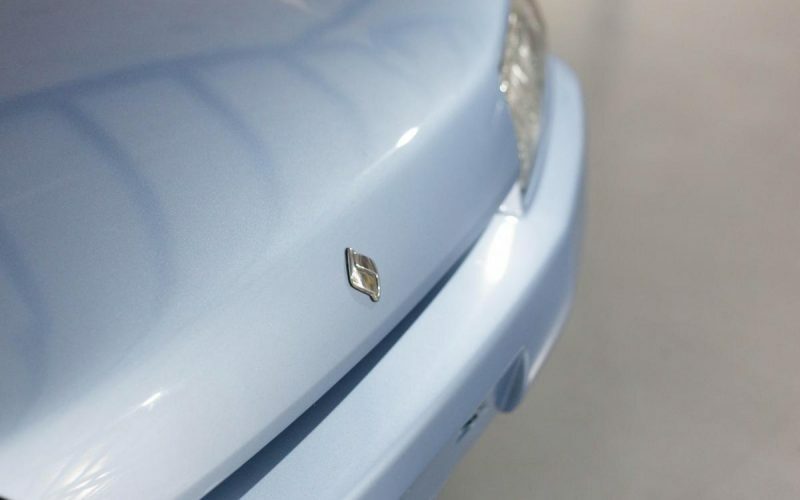 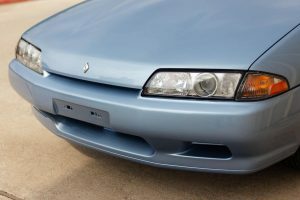 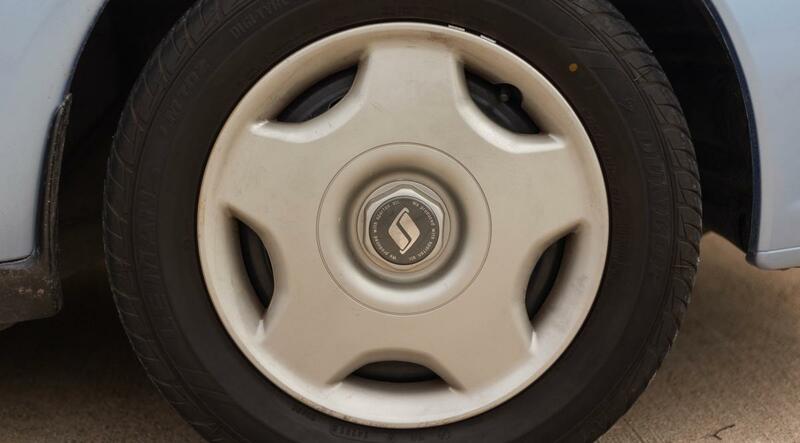 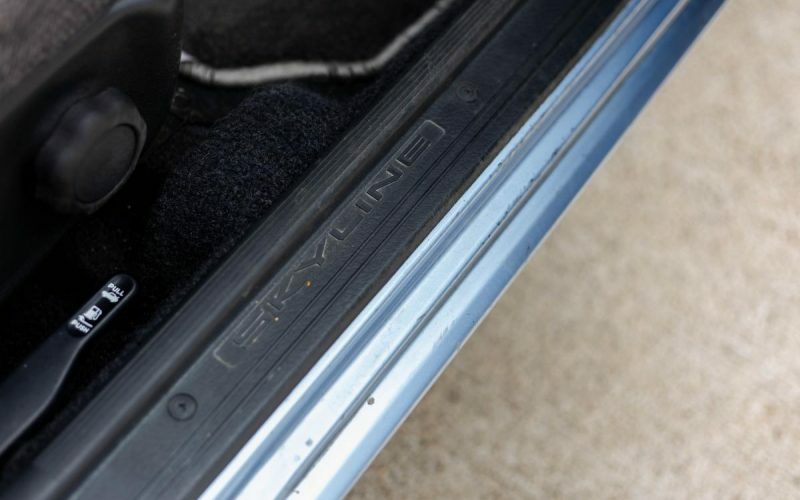 The “light blue metallic” paint is in pristine condition with no dents, rust, or hard scratches on the body. Clear coat is still excellent shape with no signs of it fading, the previous owner has taken real good care of it. 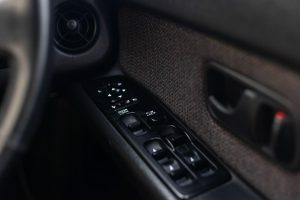 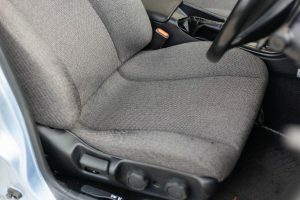 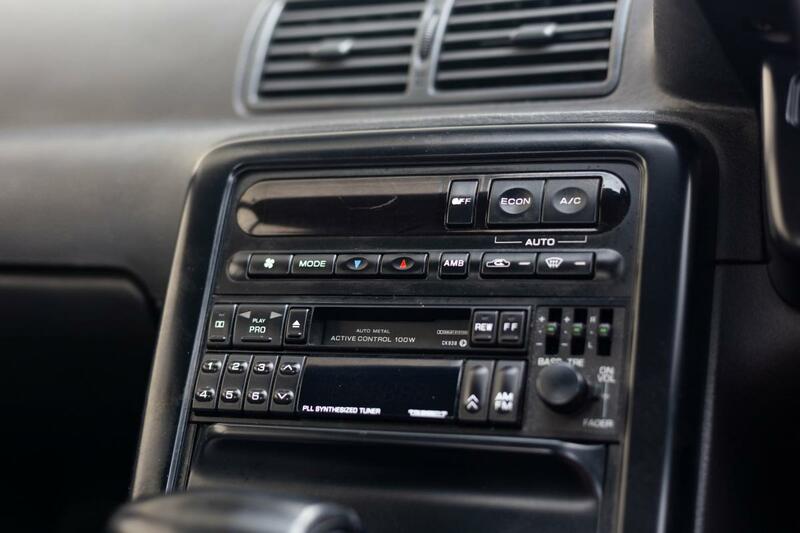 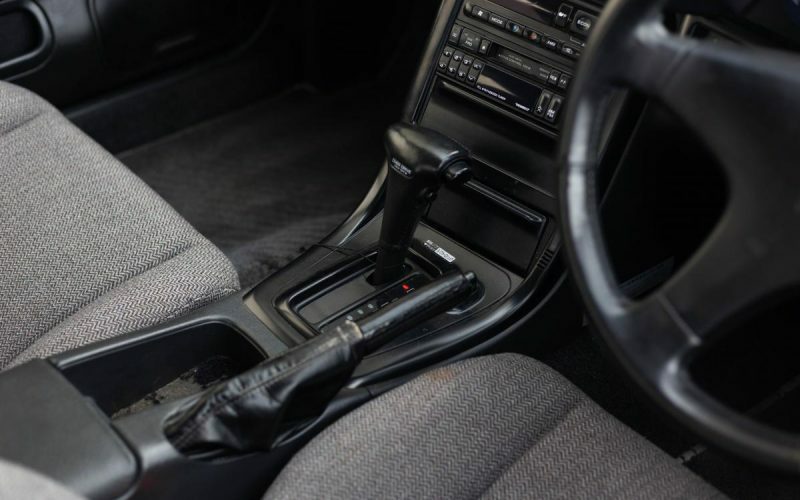 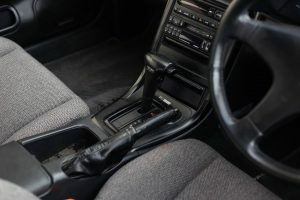 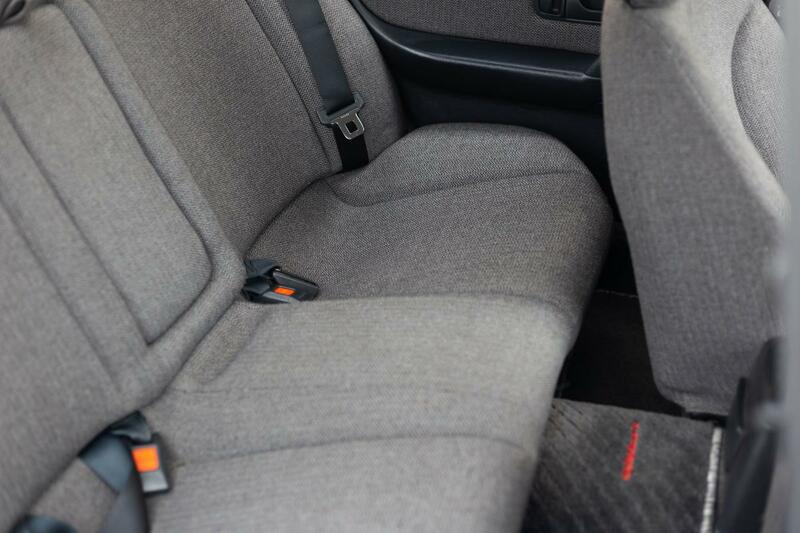 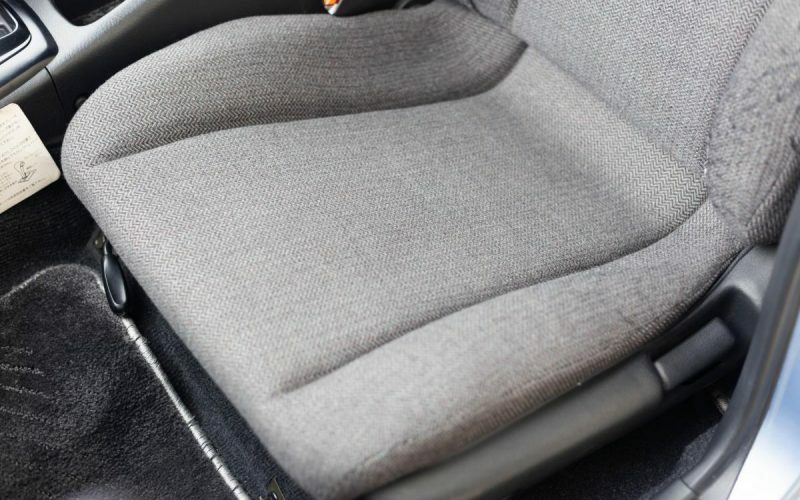 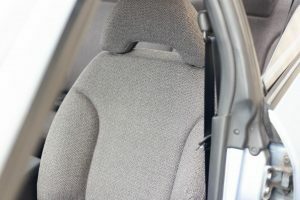 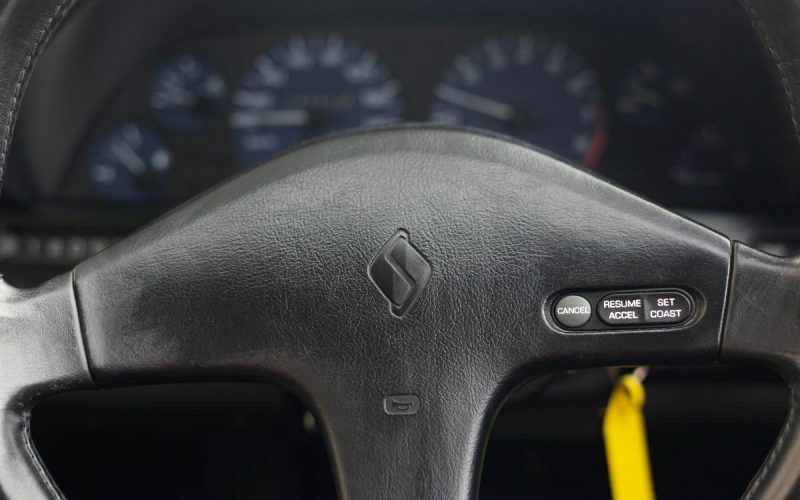 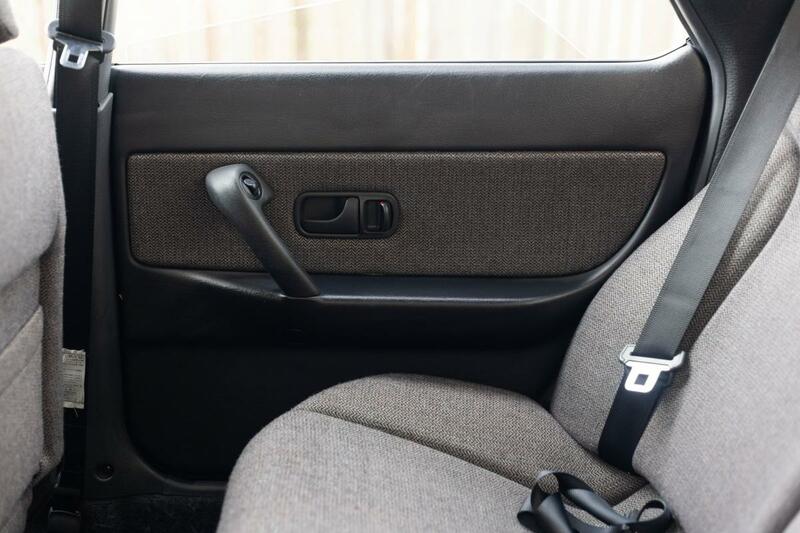 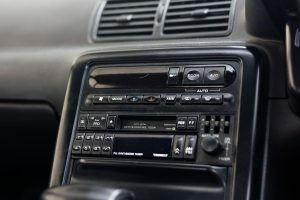 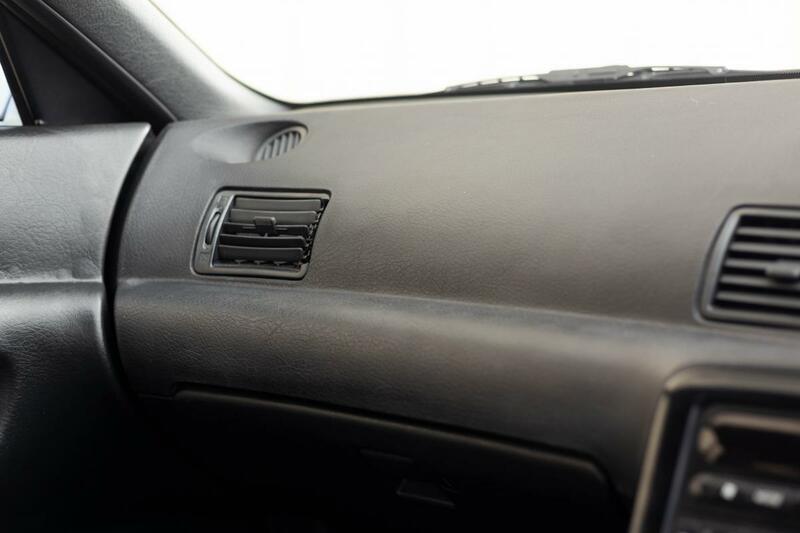 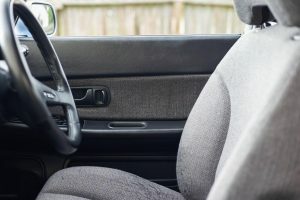 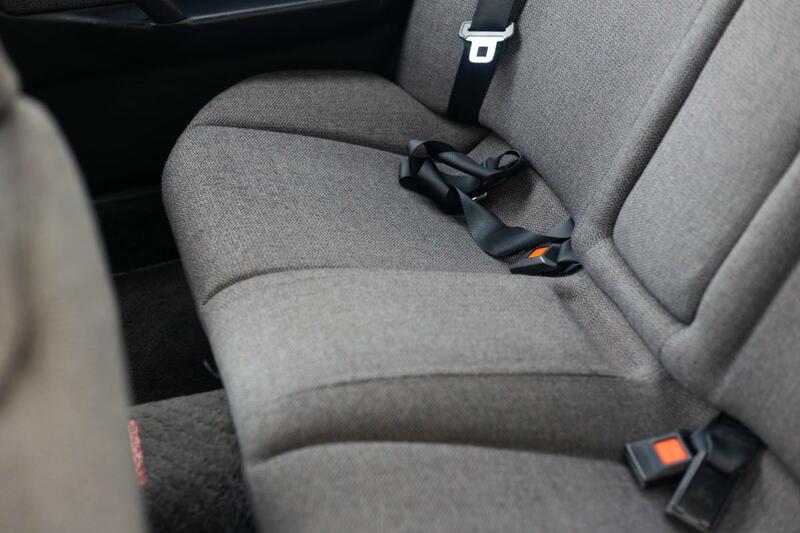 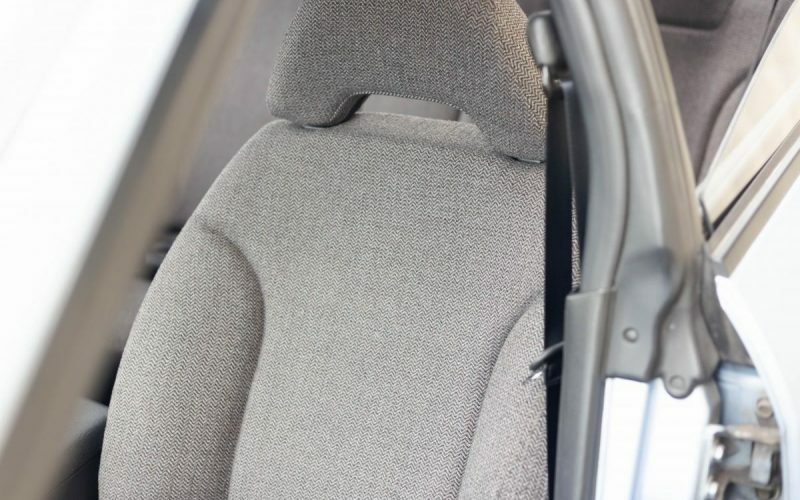 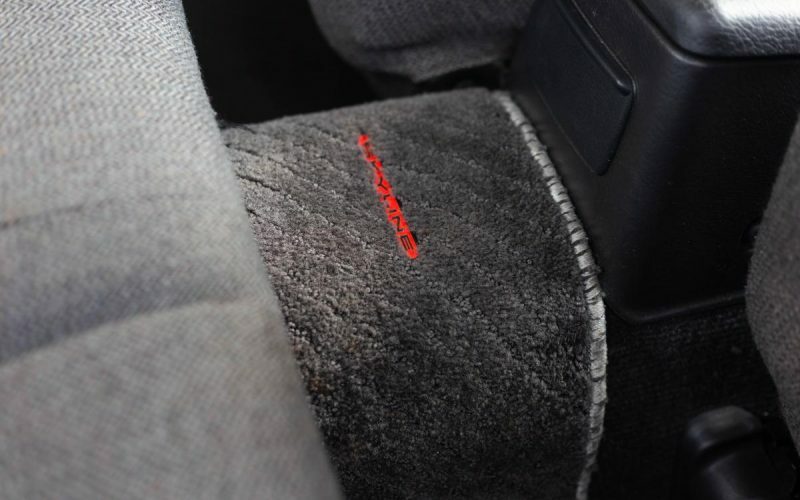 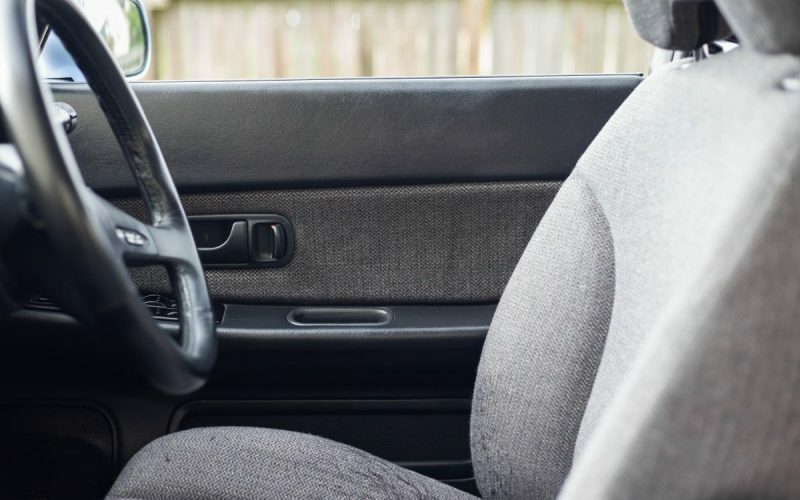 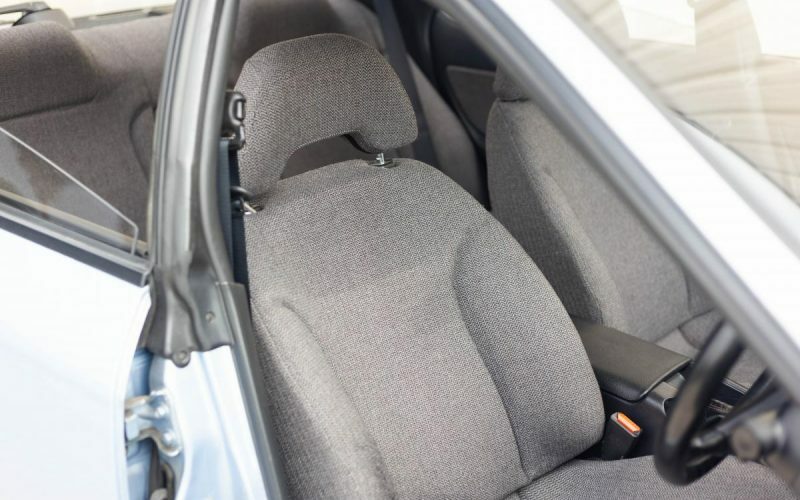 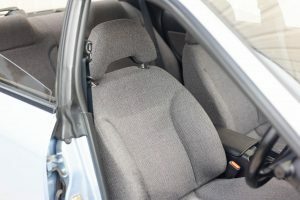 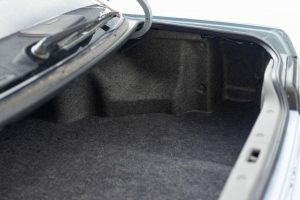 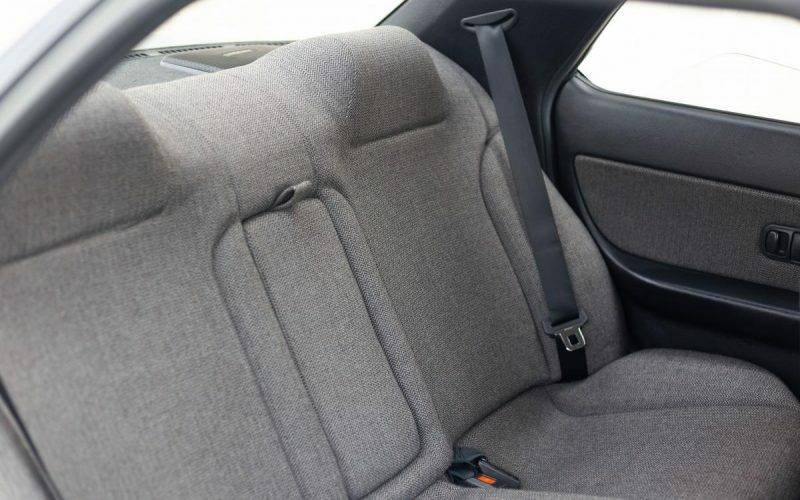 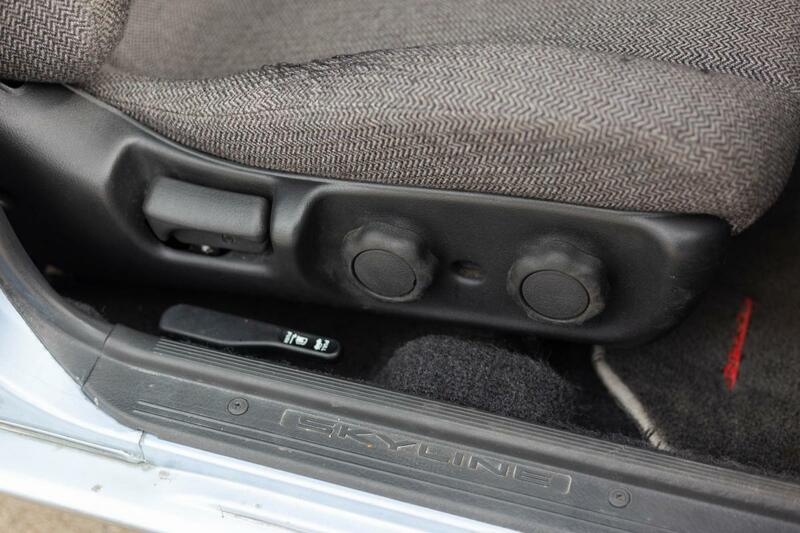 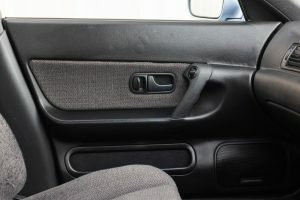 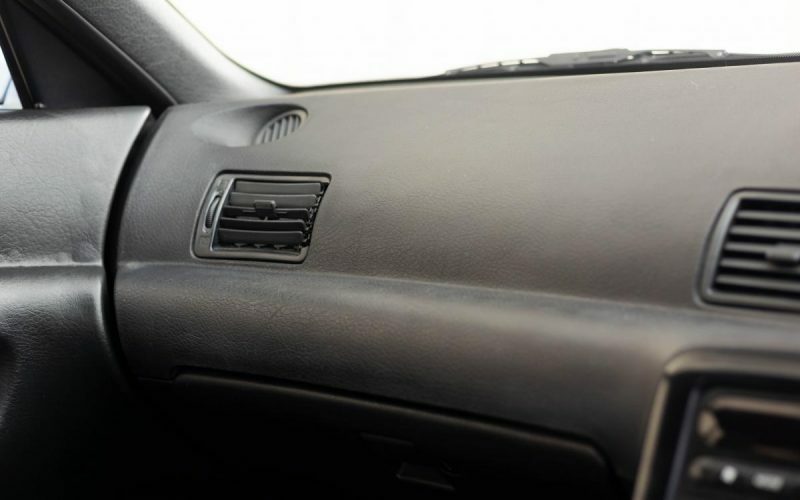 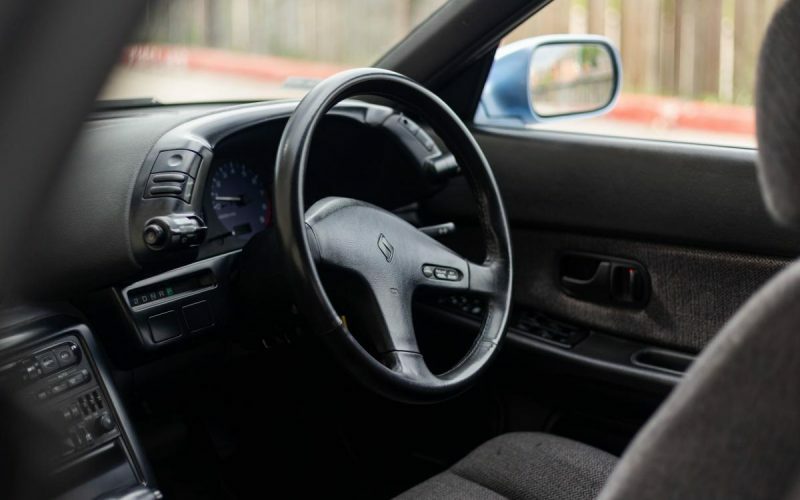 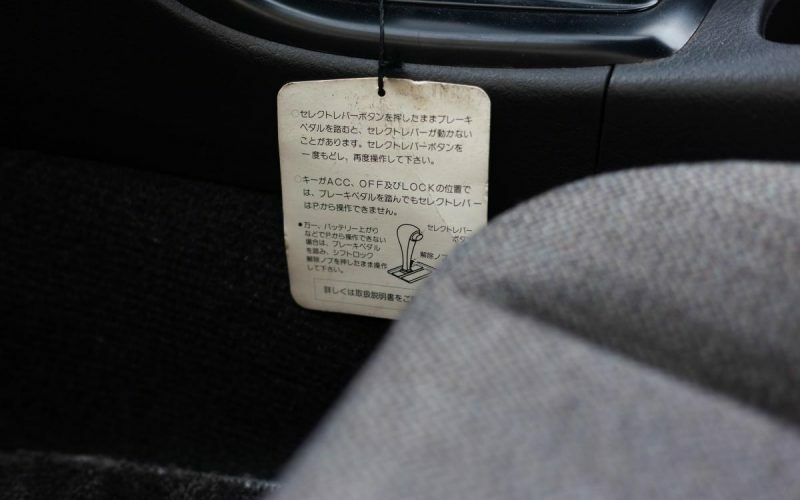 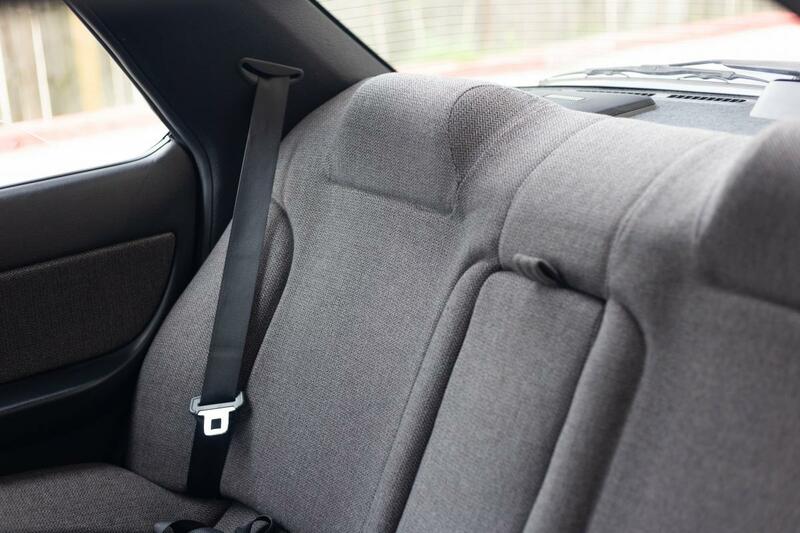 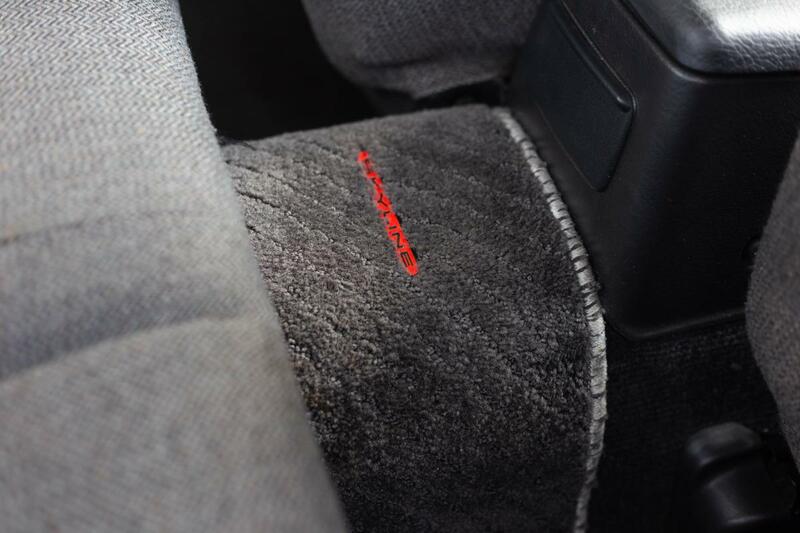 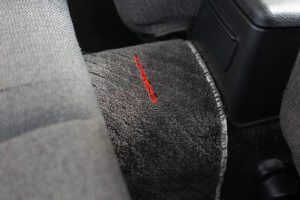 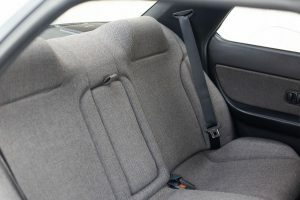 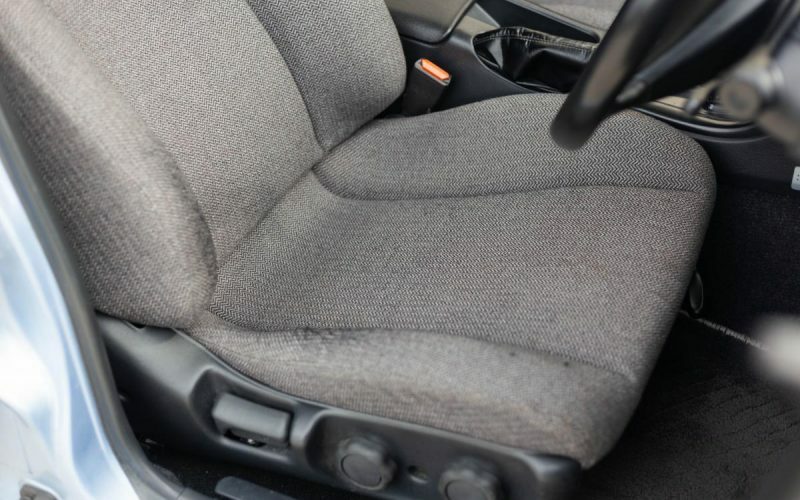 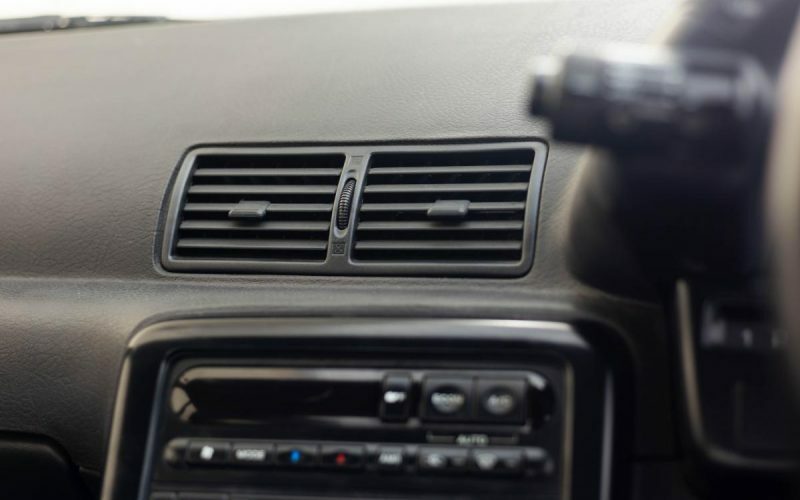 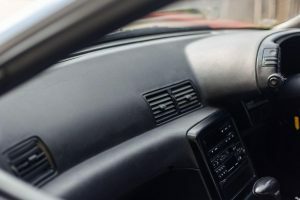 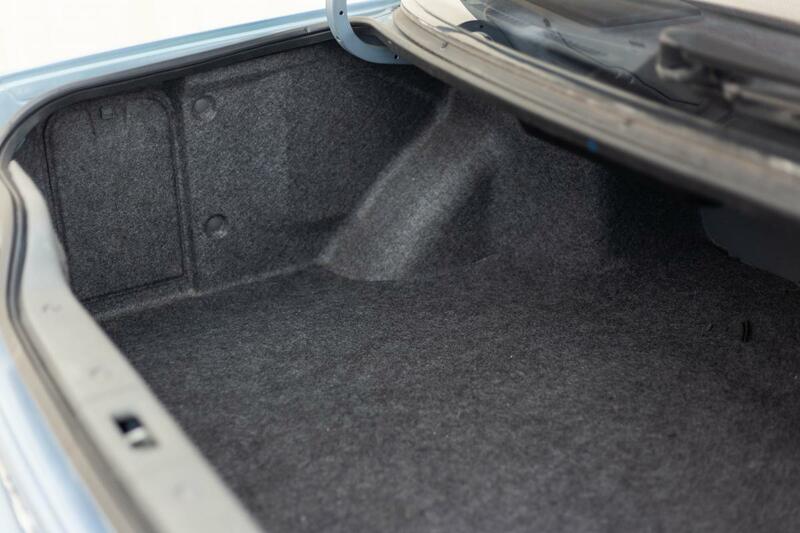 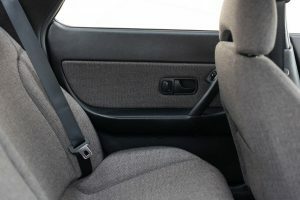 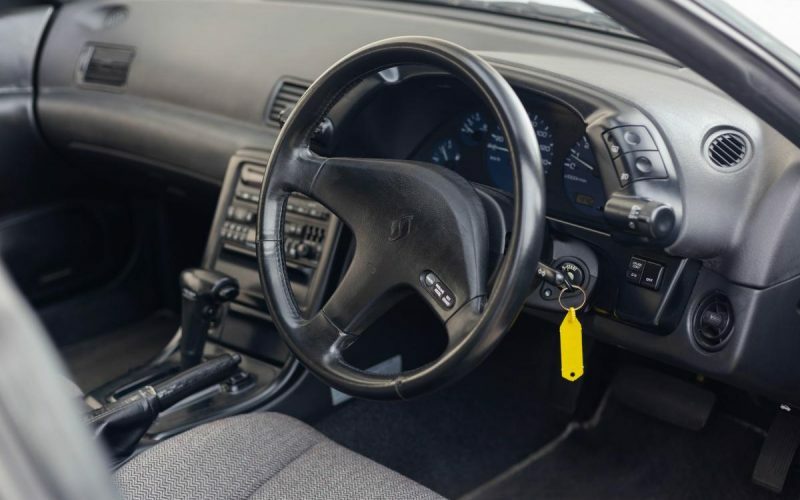 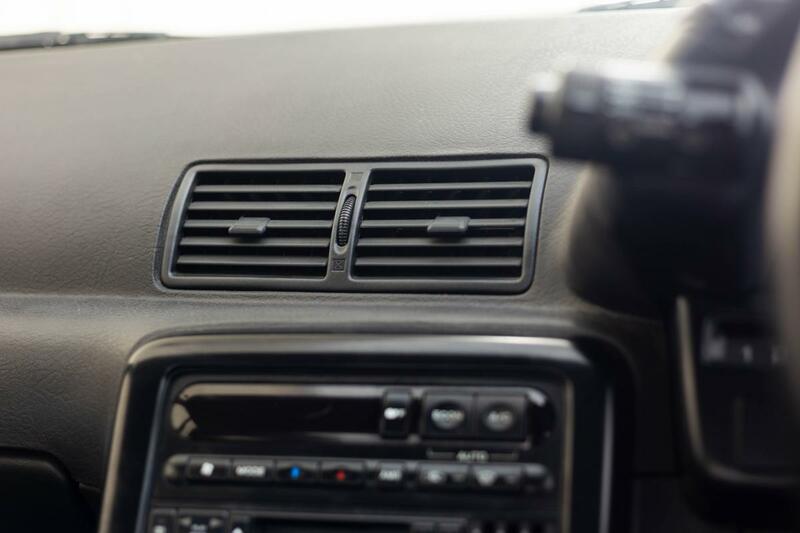 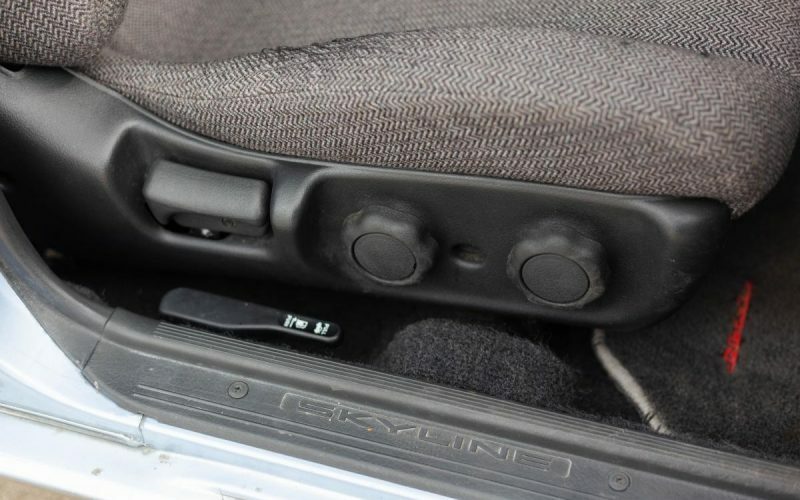 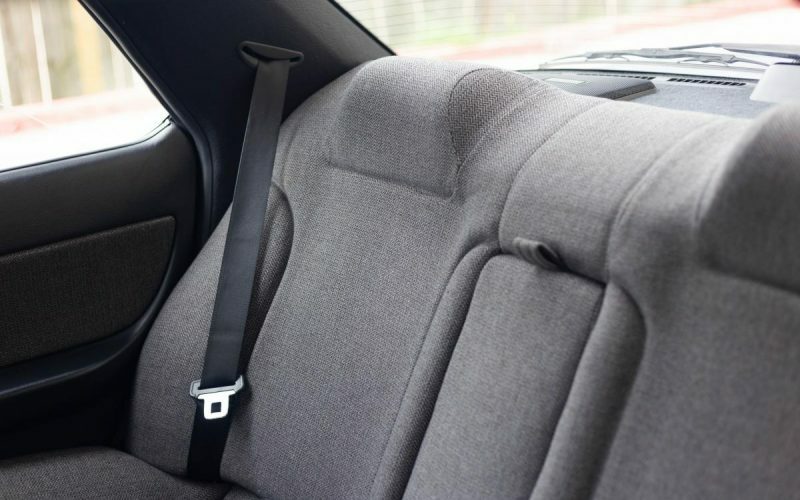 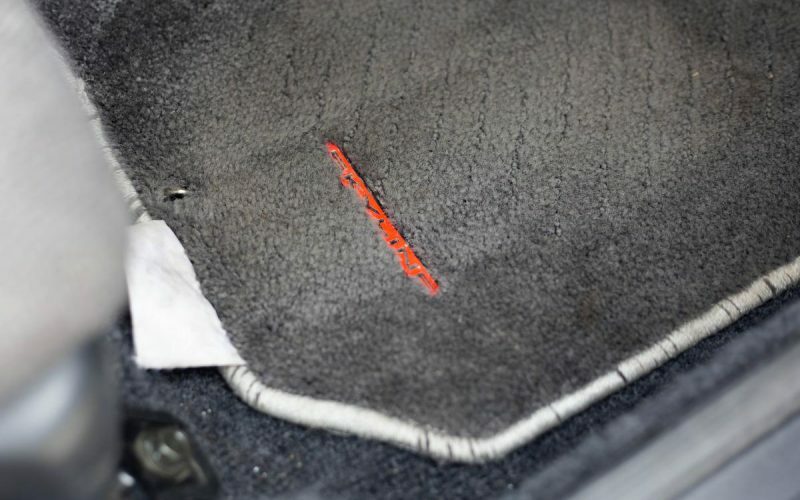 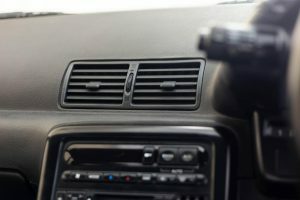 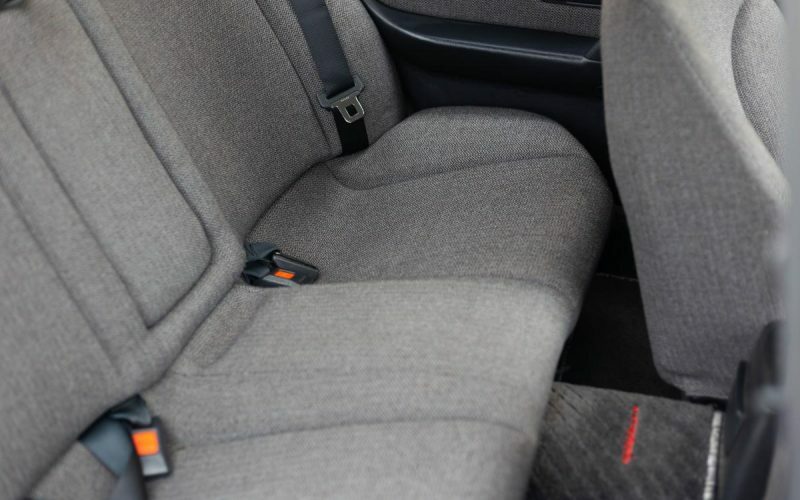 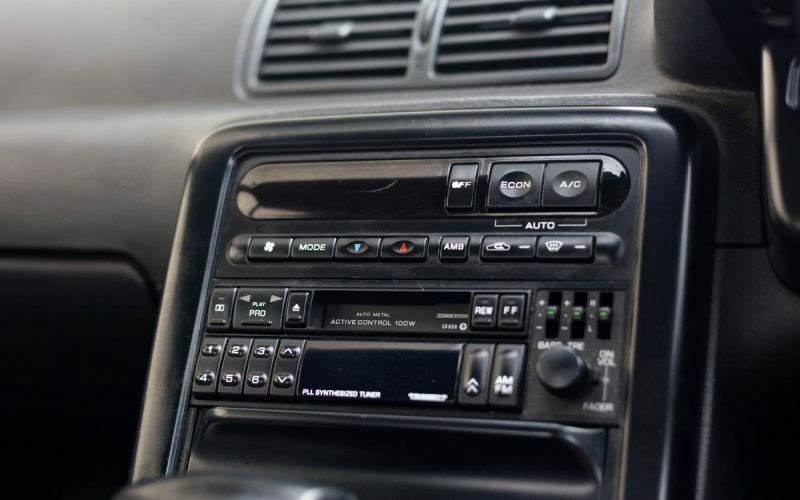 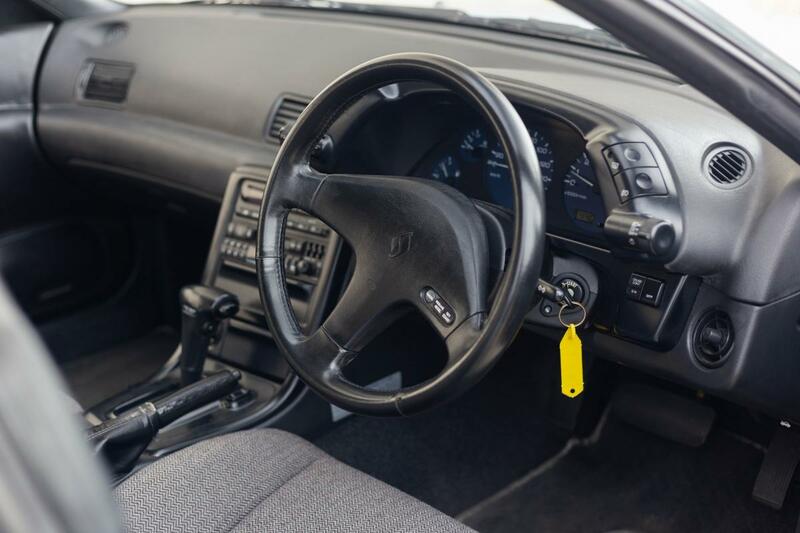 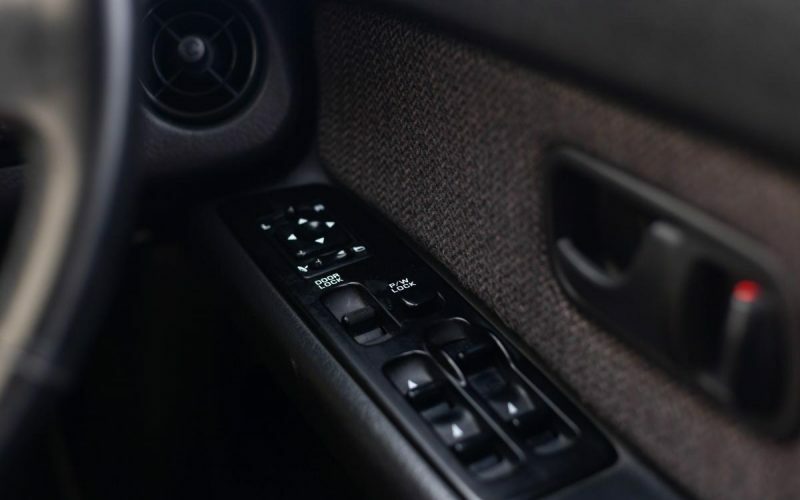 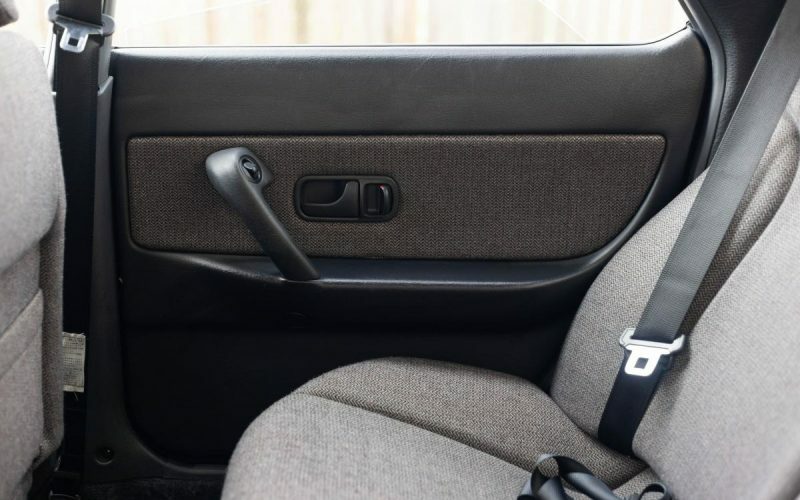 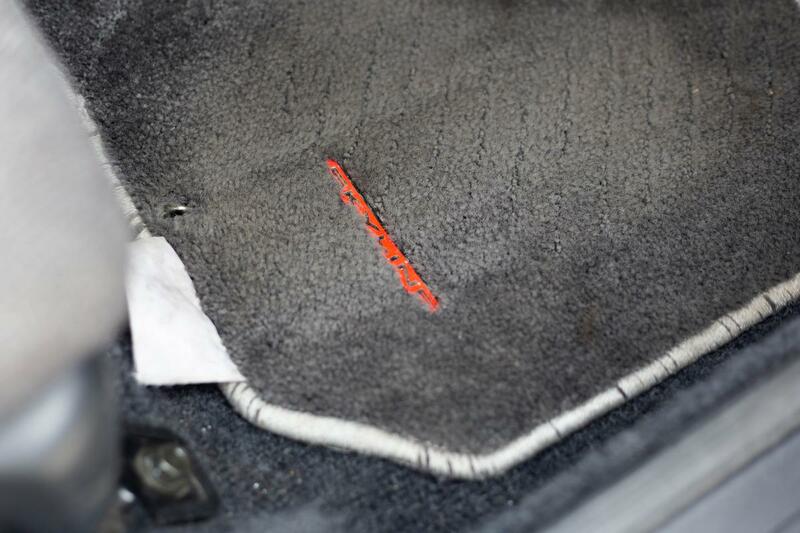 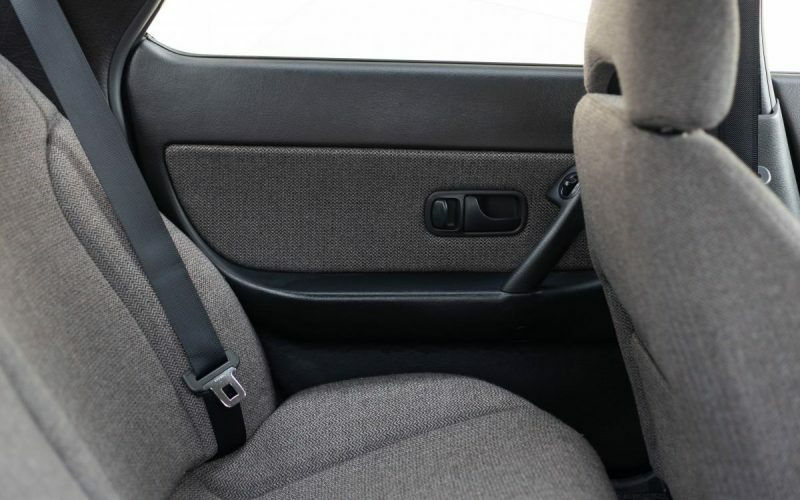 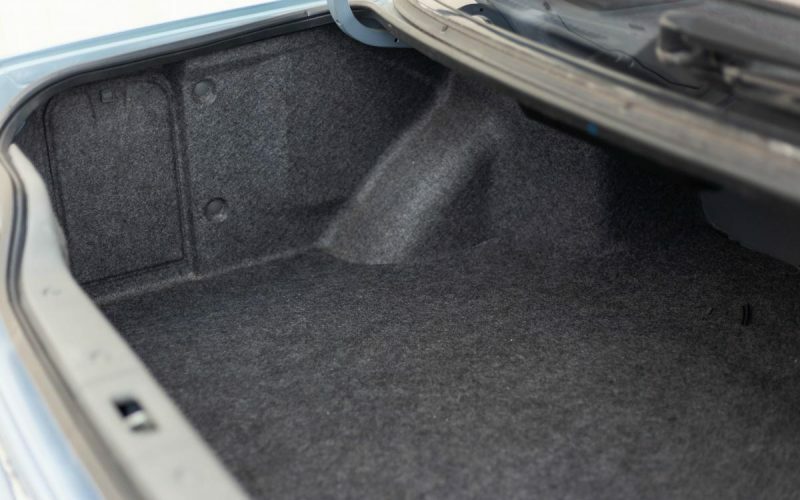 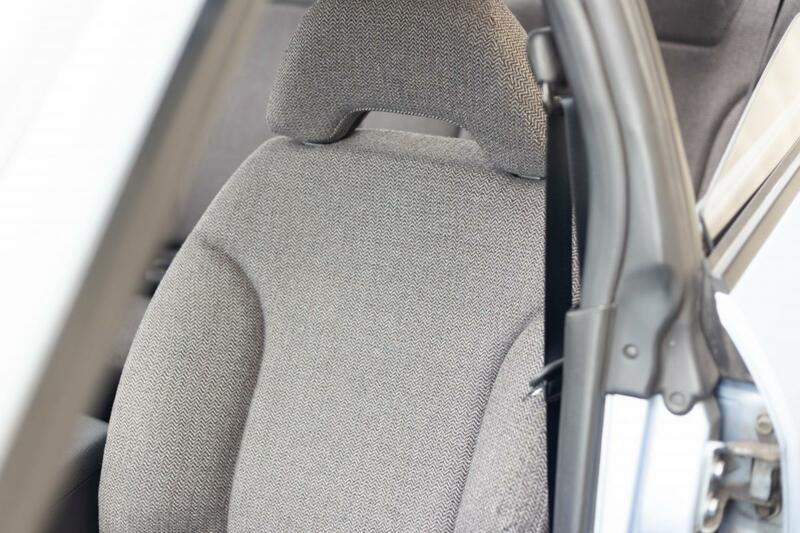 Interior has been well maintained, like brand new, with no tears, scratches/stains or bubbles on the dash trim. 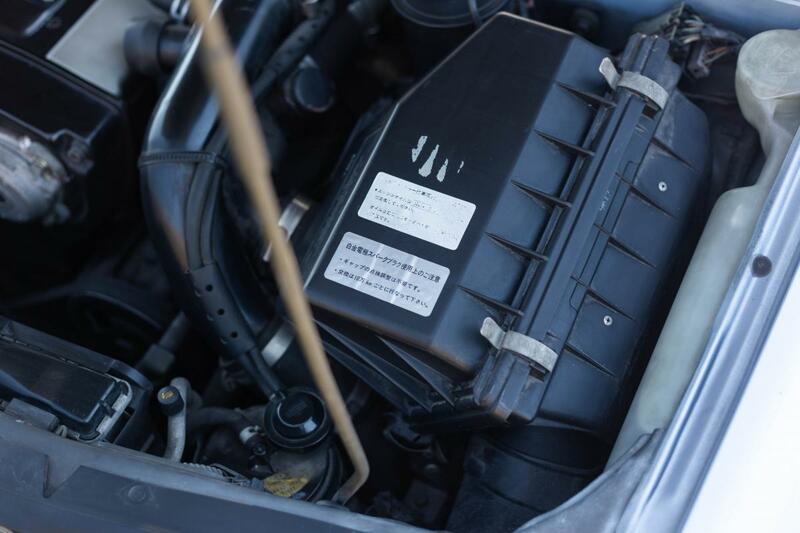 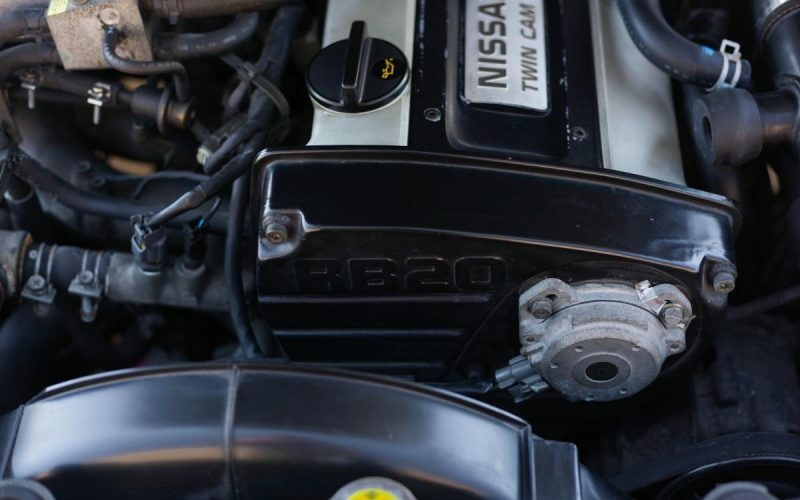 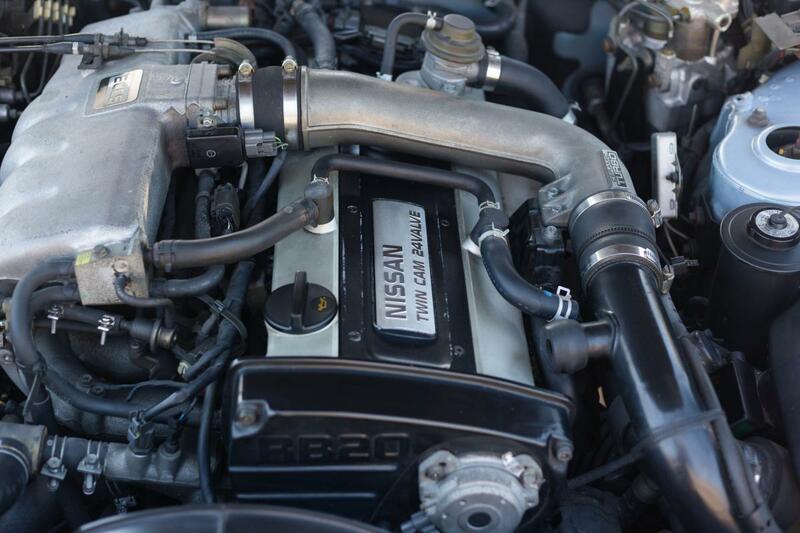 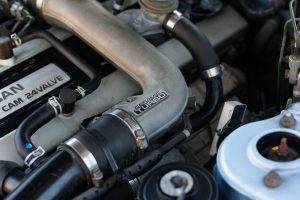 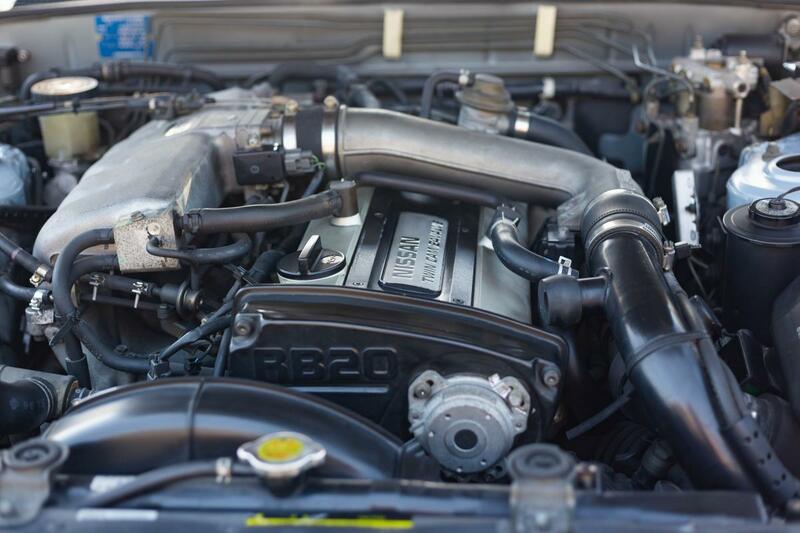 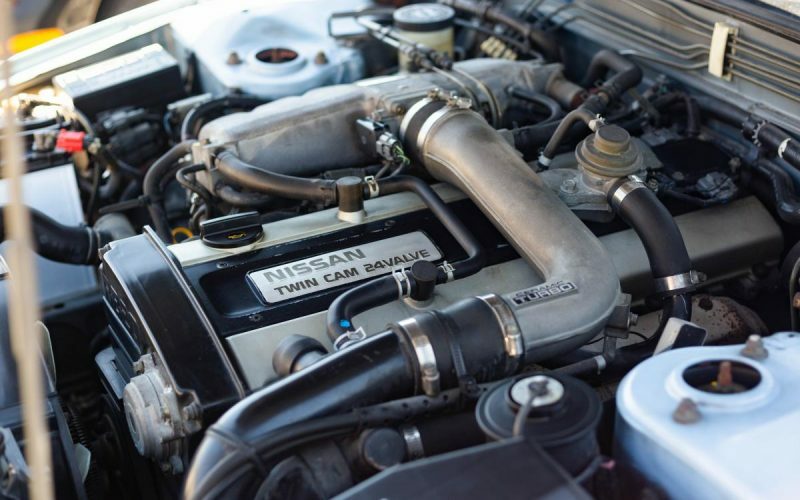 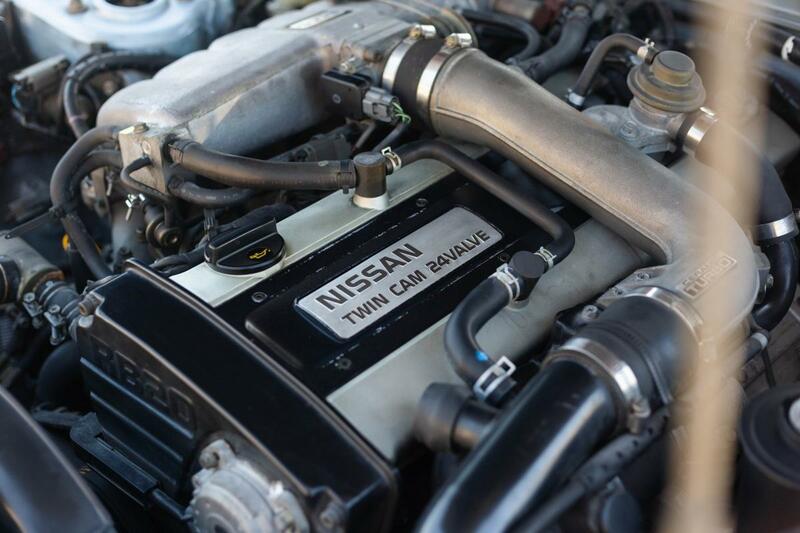 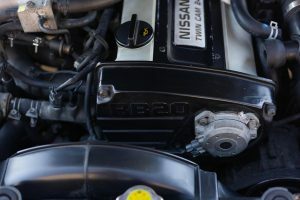 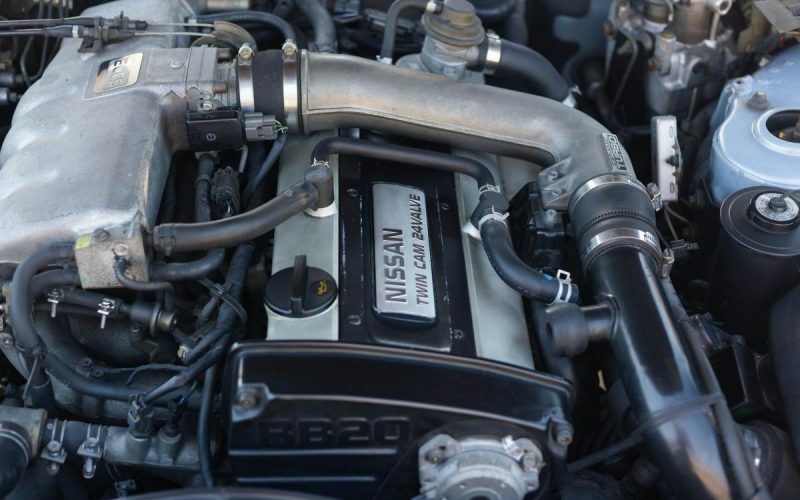 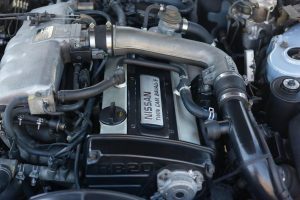 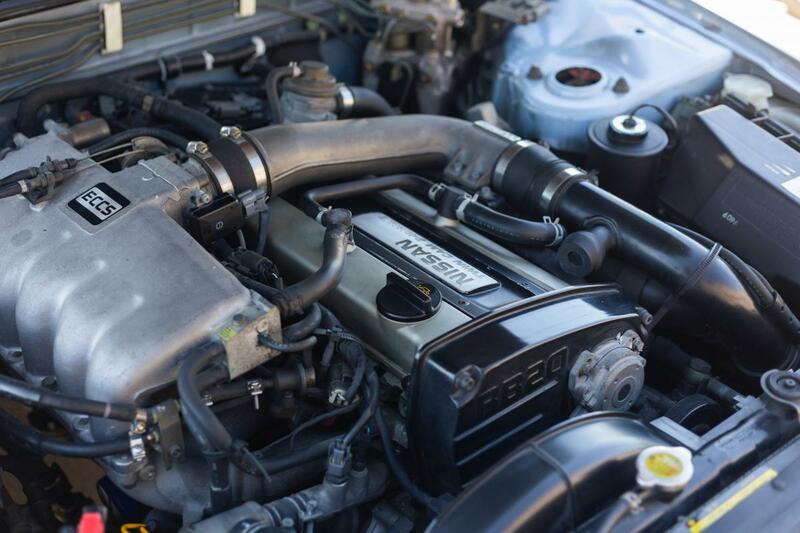 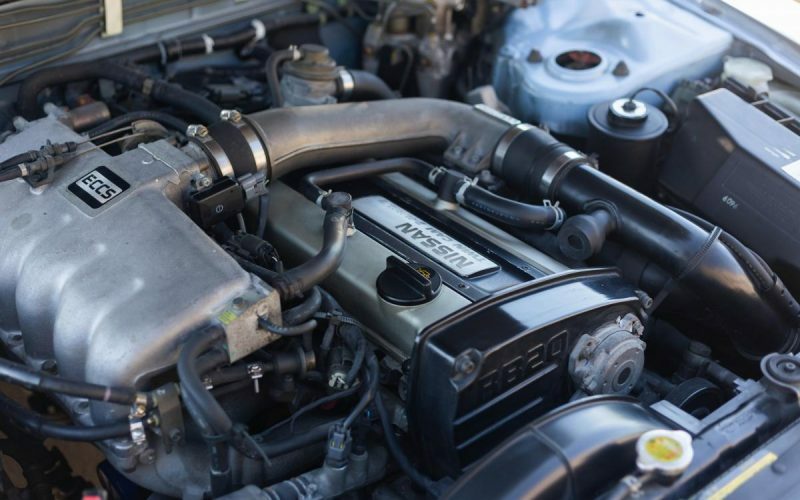 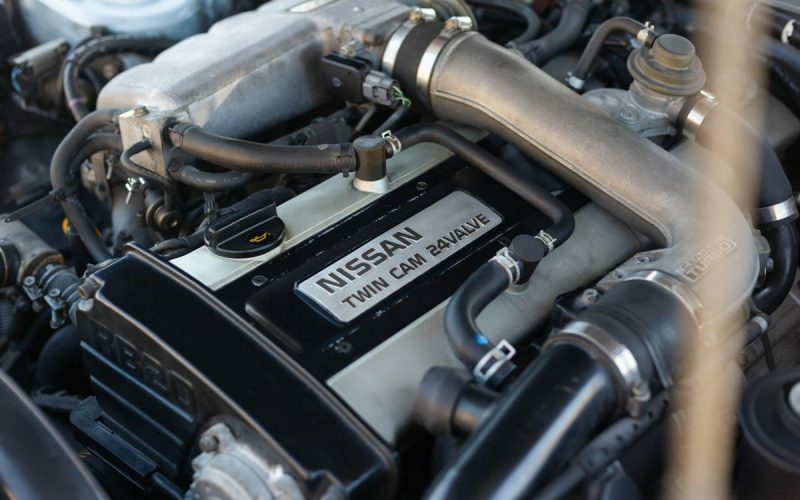 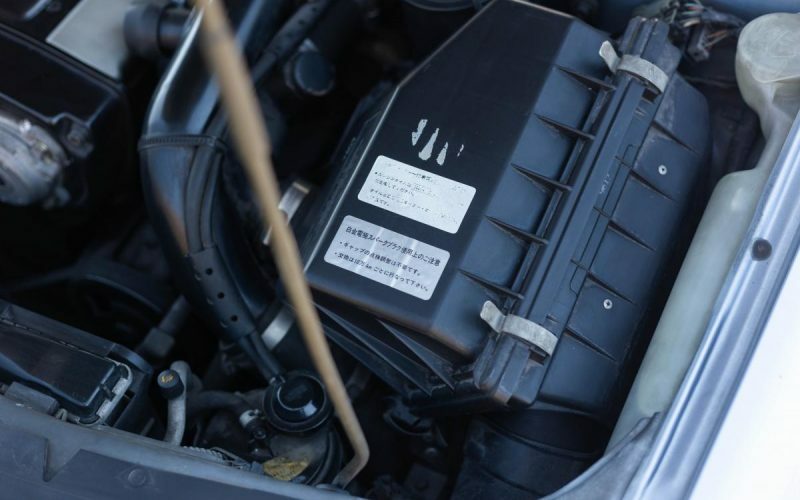 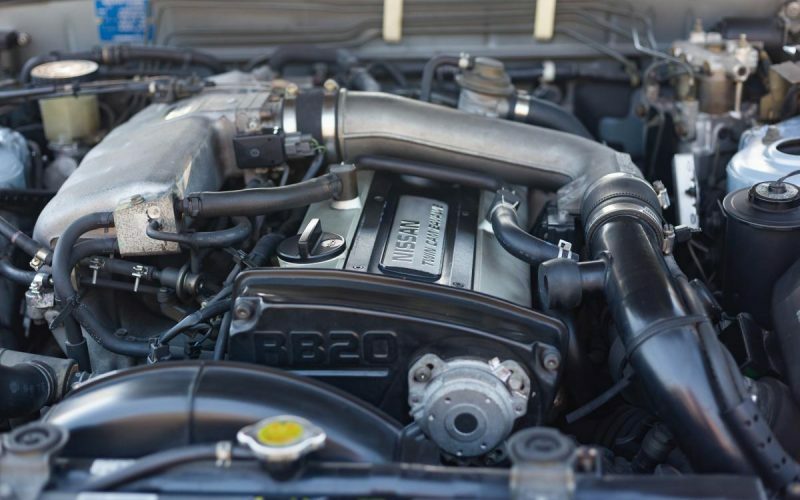 It has a 2.0L RB20 inline 6 turbo engine that runs smooth and strong without any hesitation with plenty of power. 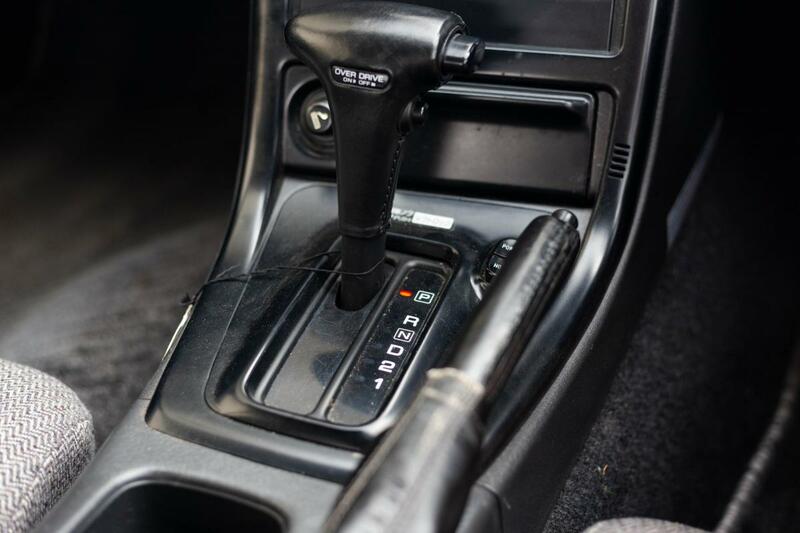 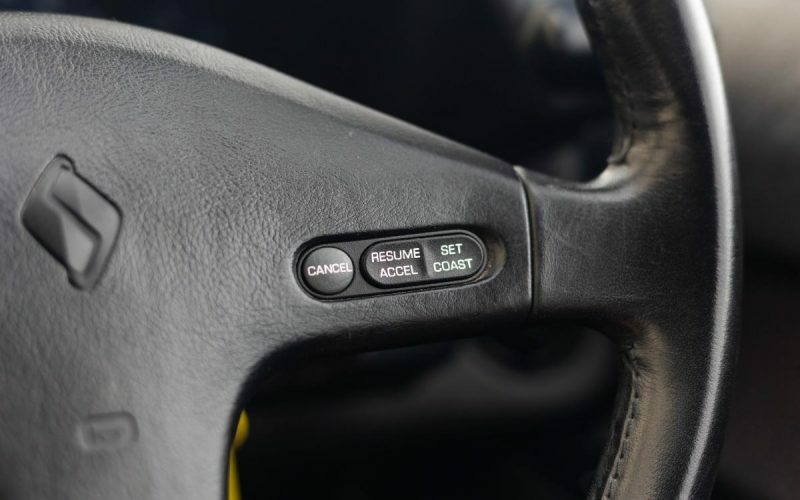 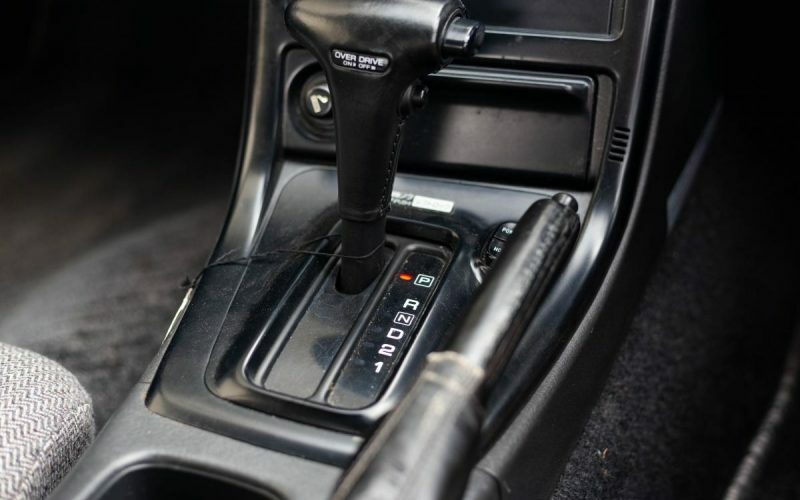 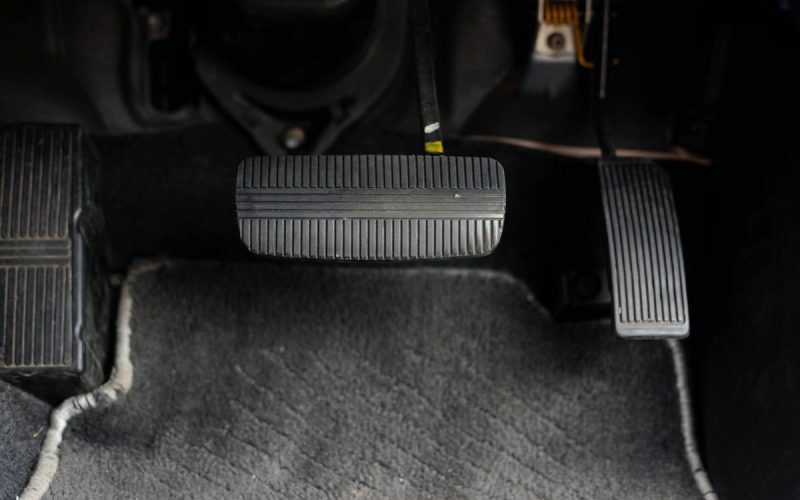 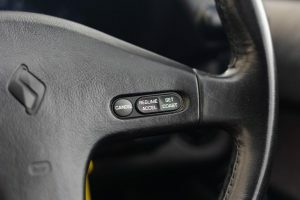 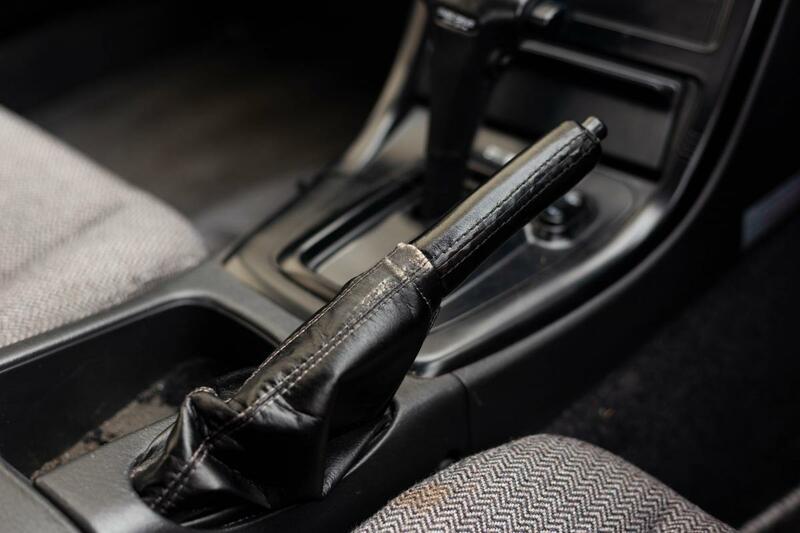 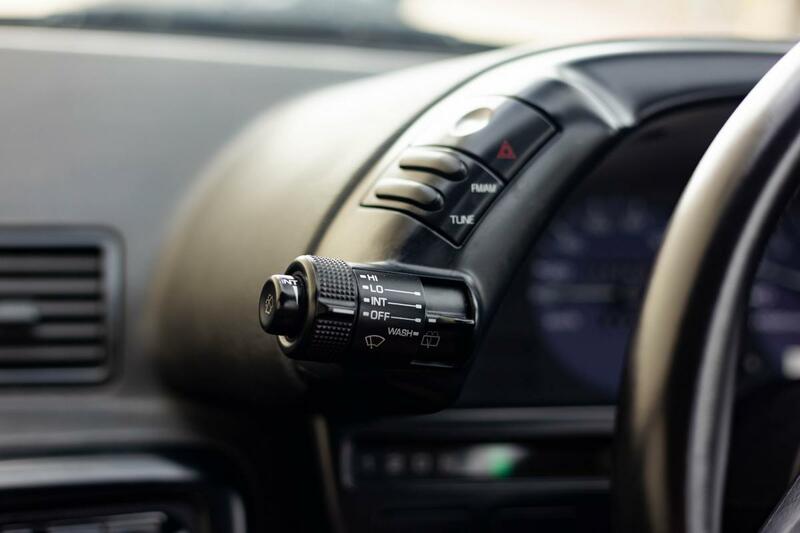 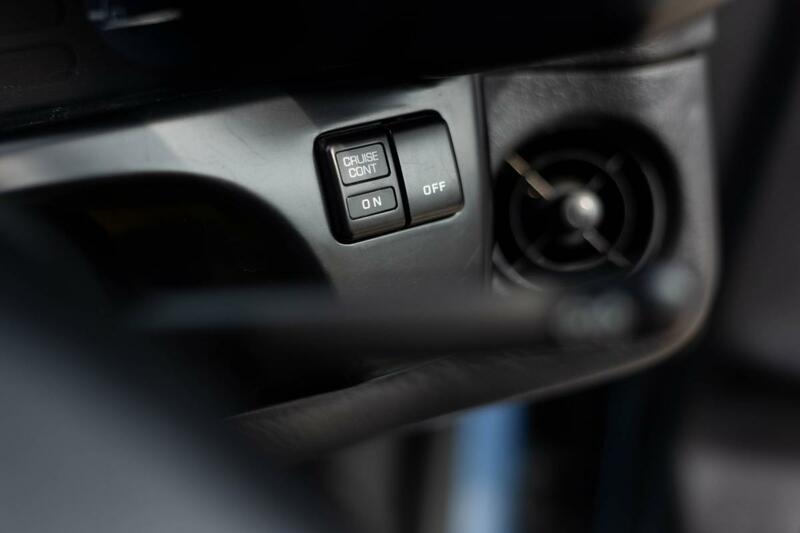 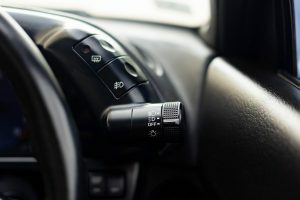 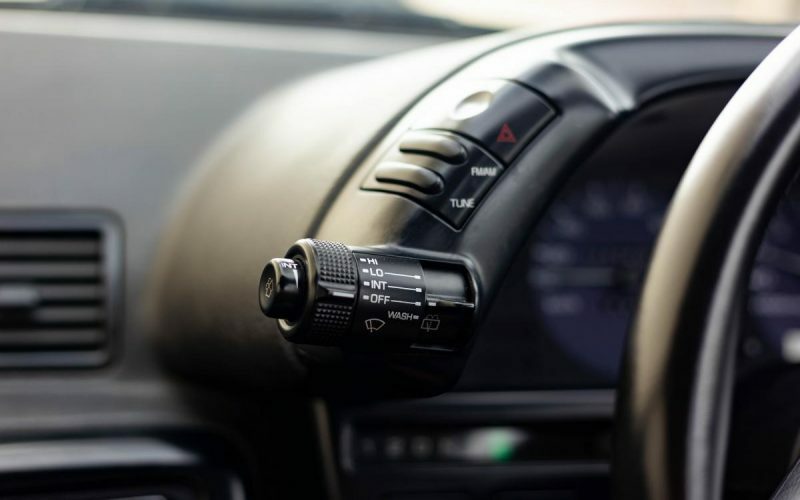 It is mated with a 4-speed automatic transmission. 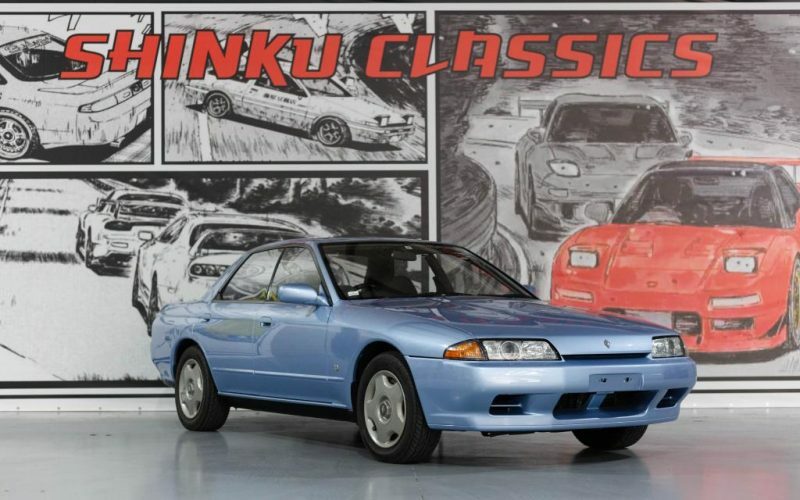 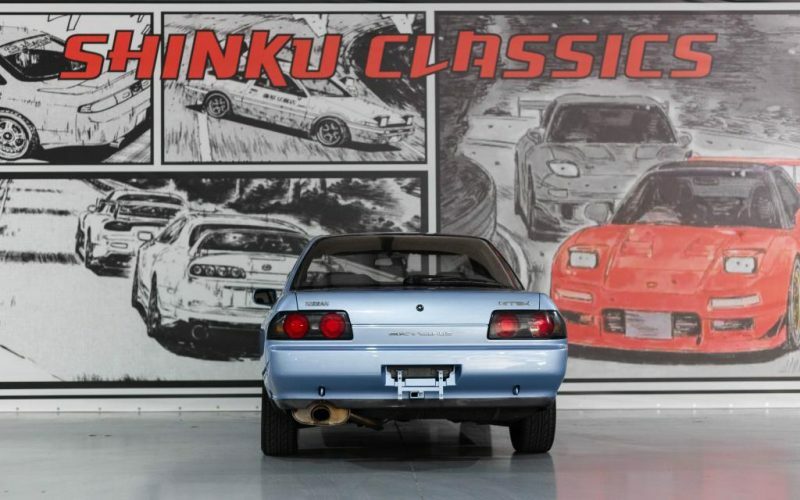 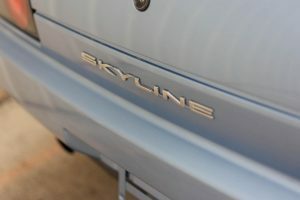 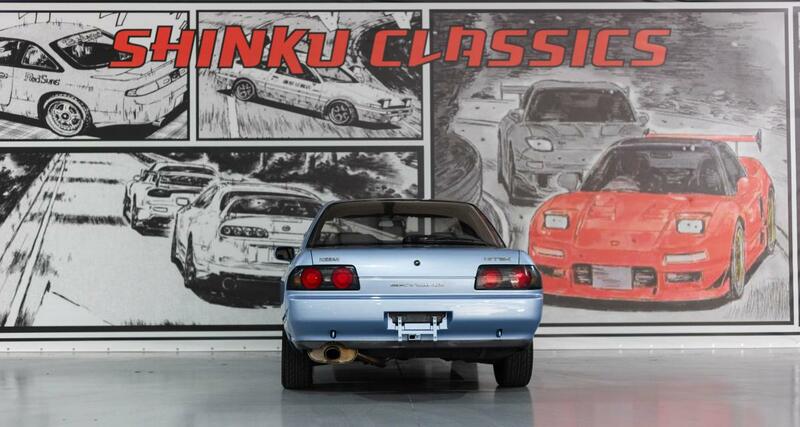 If you’re looking for a beautiful, rare colored Skyline that’s in mint condition then this is it!